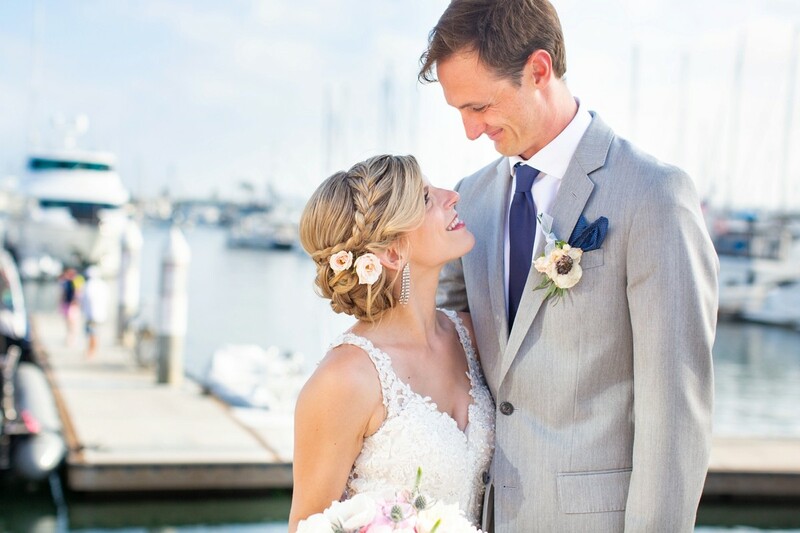 Matt and Jessie are two of the happiest people I know. 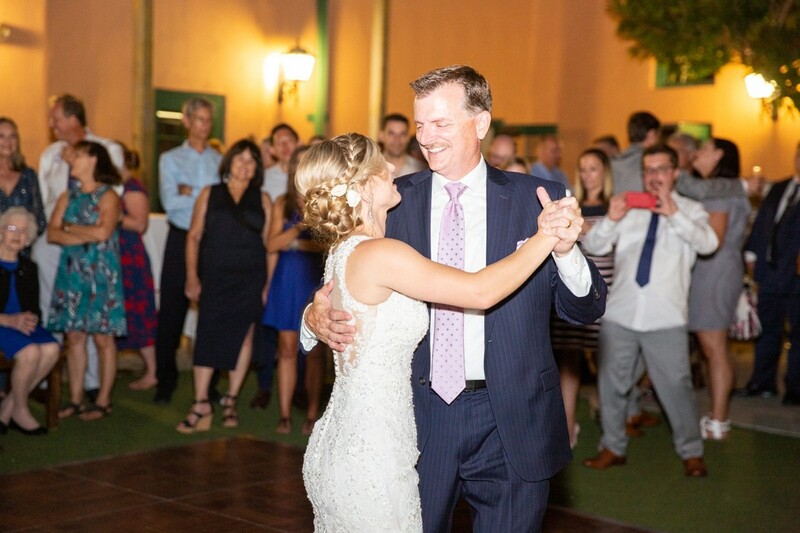 They are both always shinning with smiles and good times. 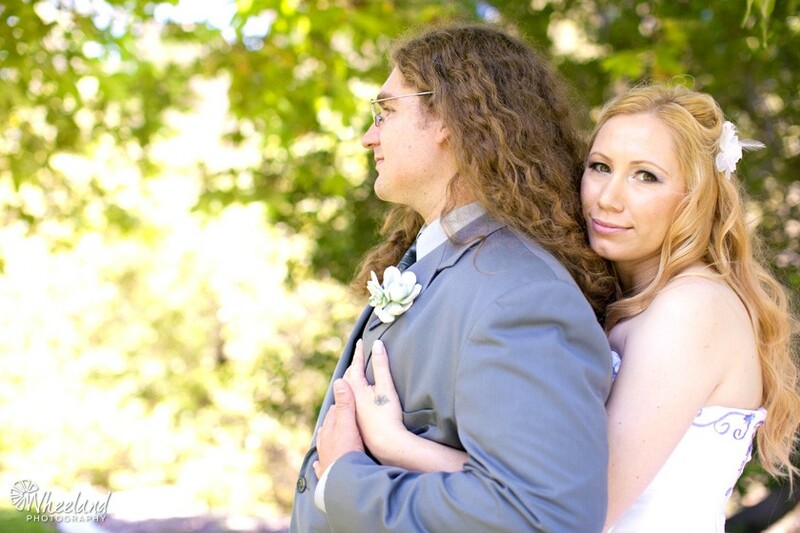 (Check out their Engagement Session!) 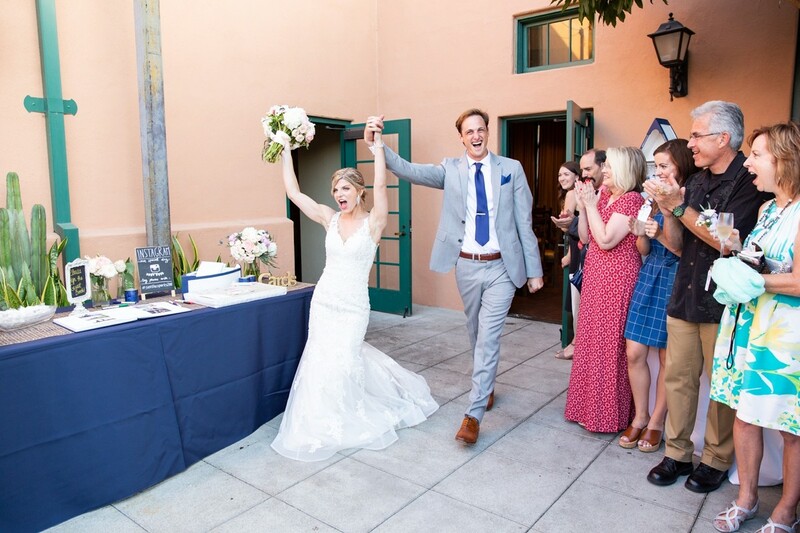 Even more so on their long awaited Wedding Day! 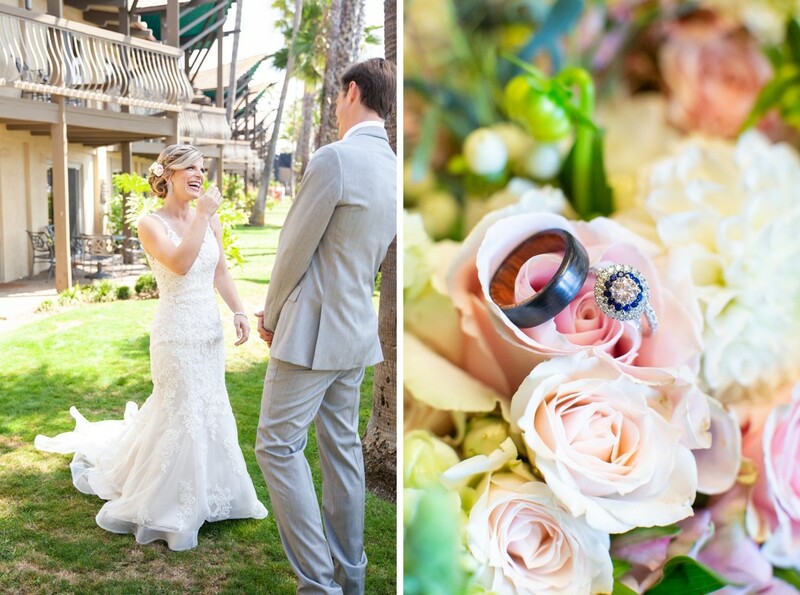 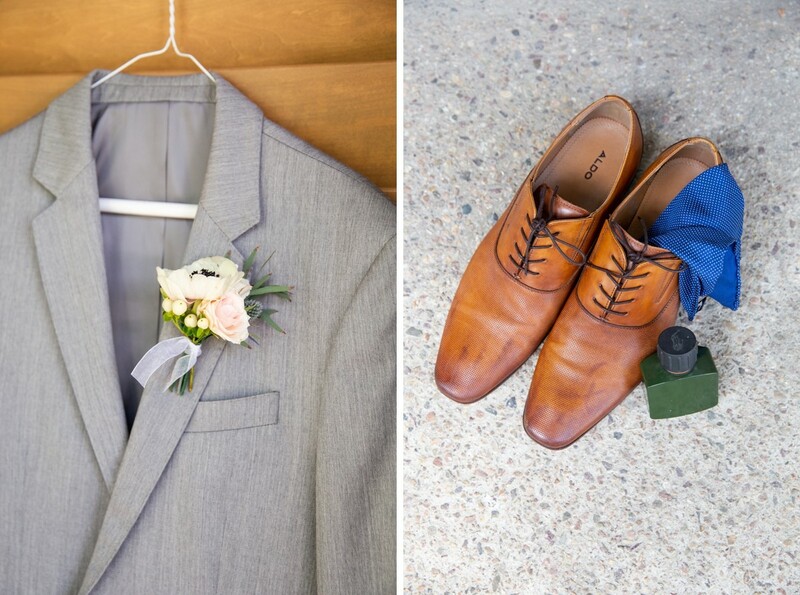 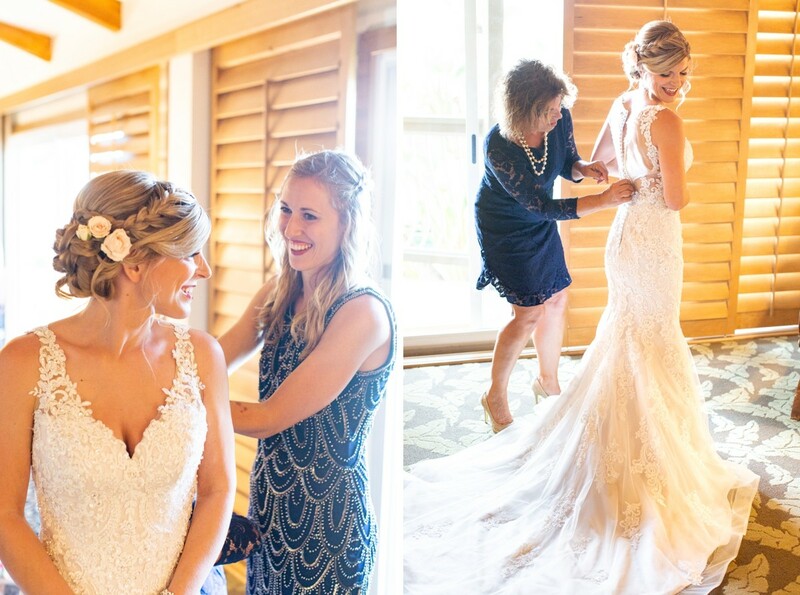 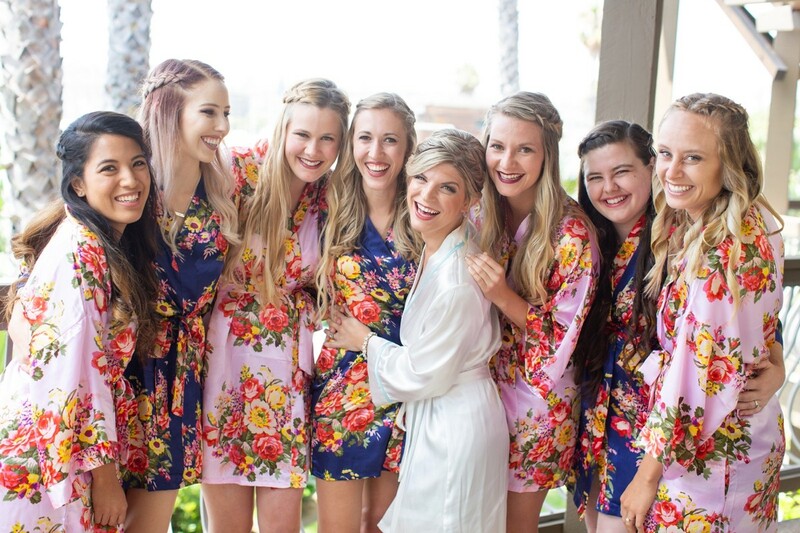 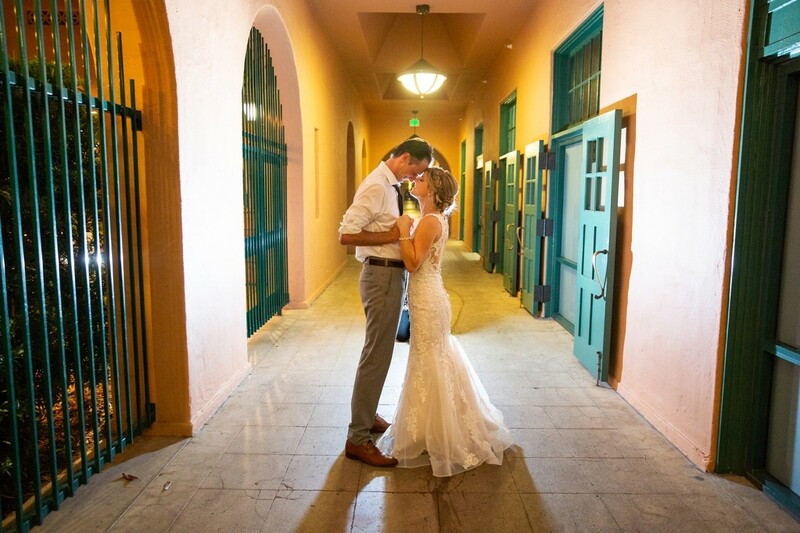 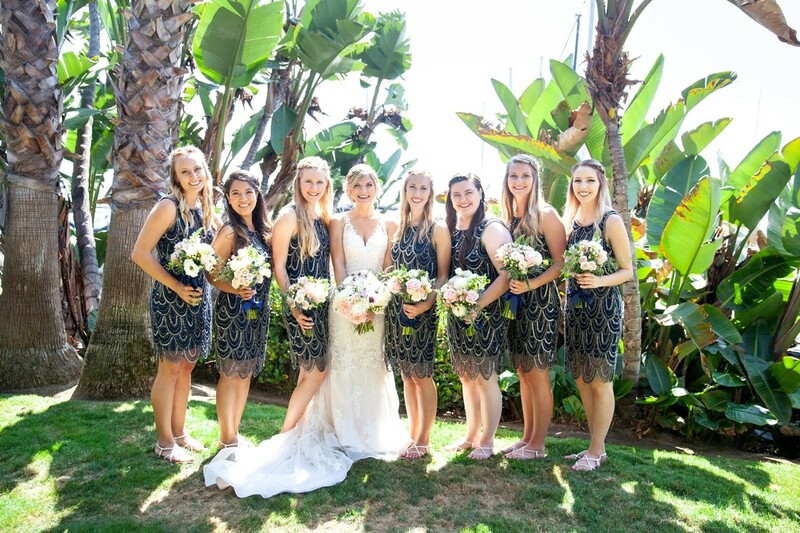 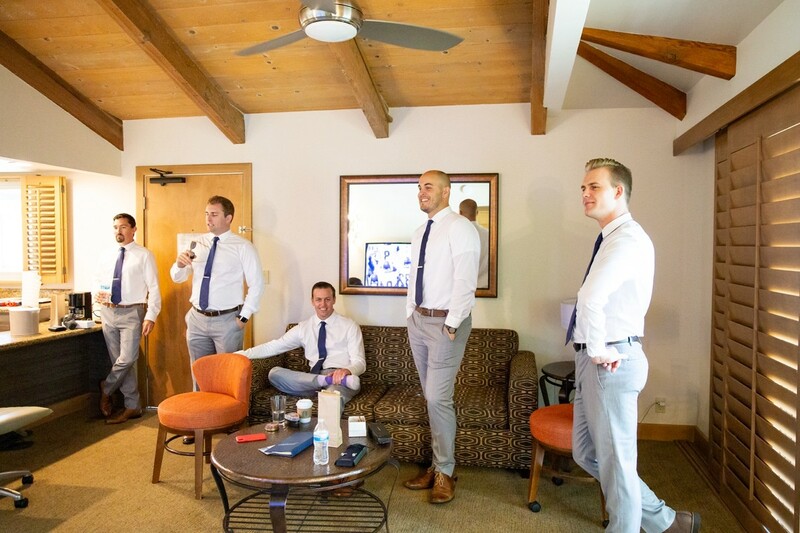 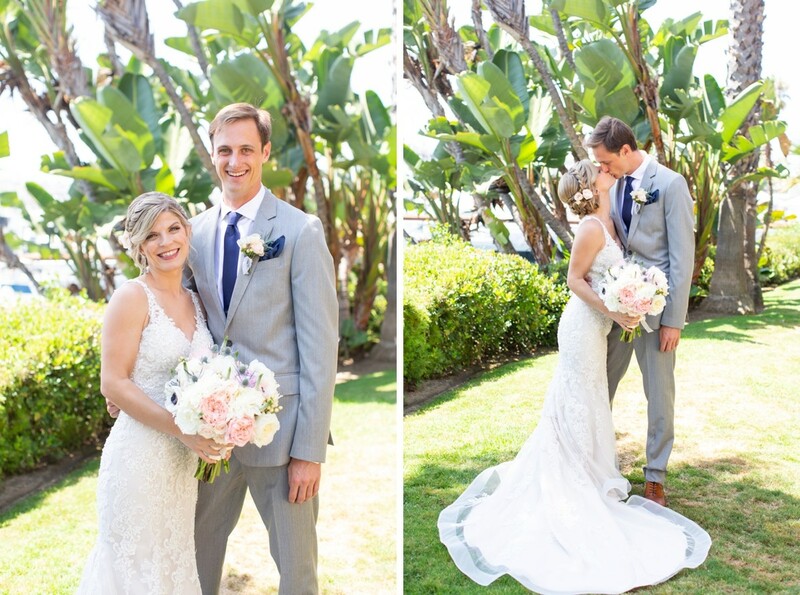 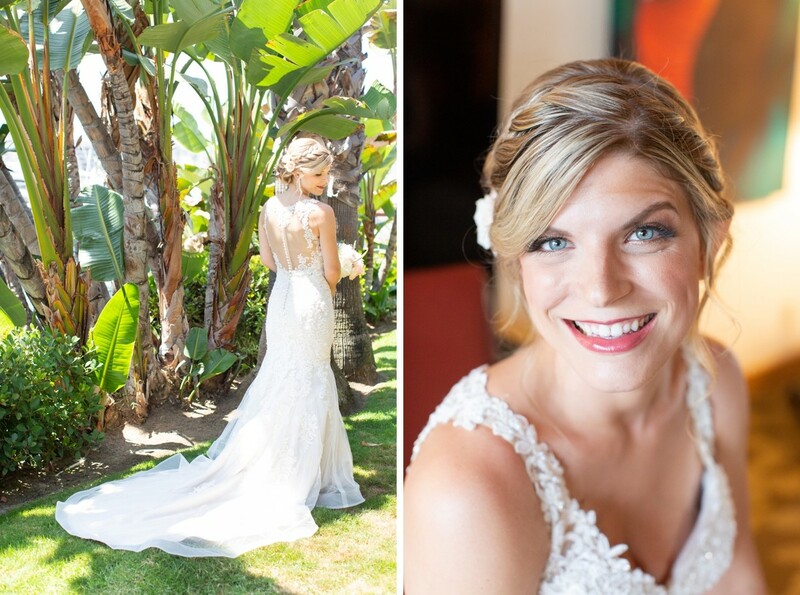 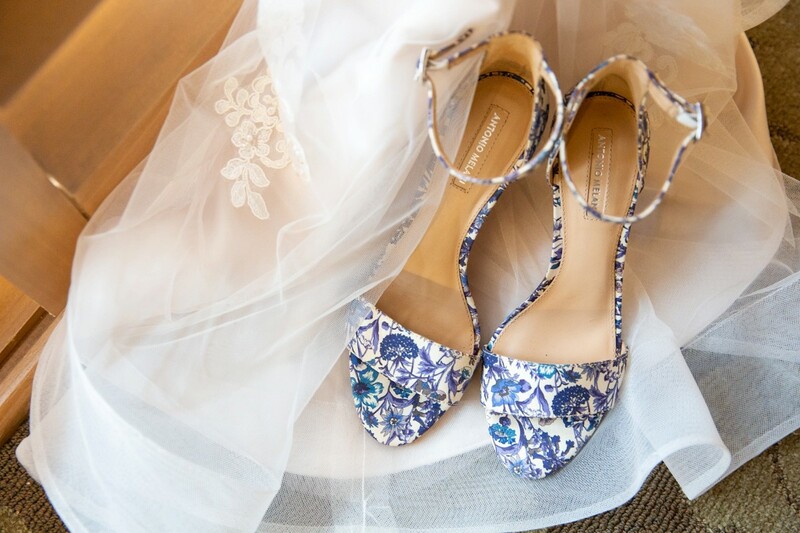 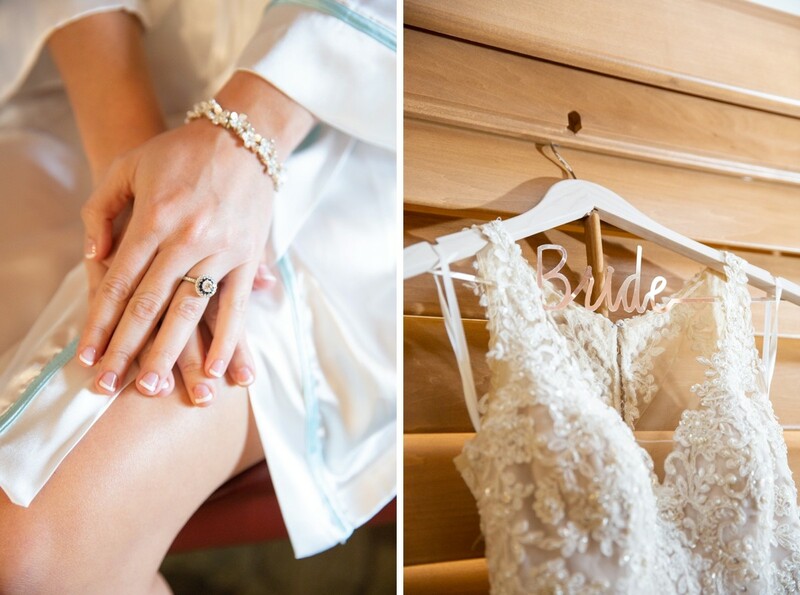 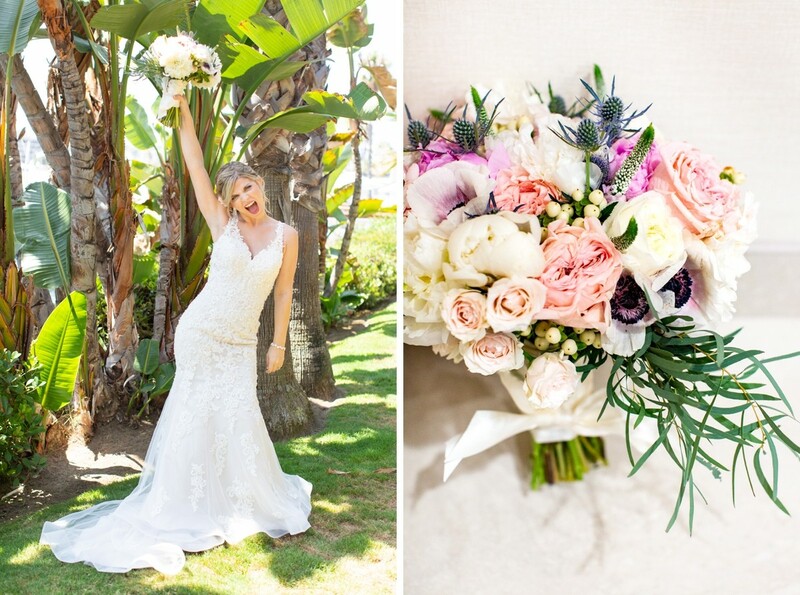 They both started the day getting ready at Humphreys Half Moon Inn which immediately made you feel like you teleported to a tropical getaway. 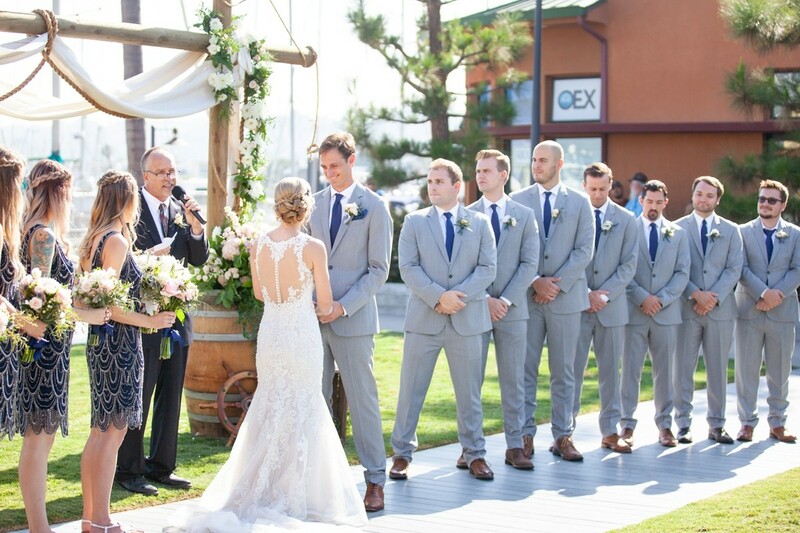 There they also had their First Look, just the two of them. 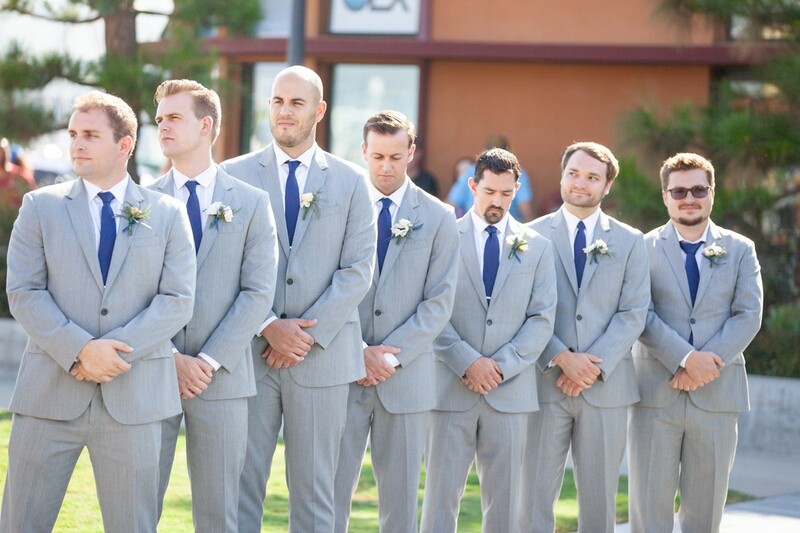 The way Matt looked at her when he turned around, made us all well up with watery eyes of joy! 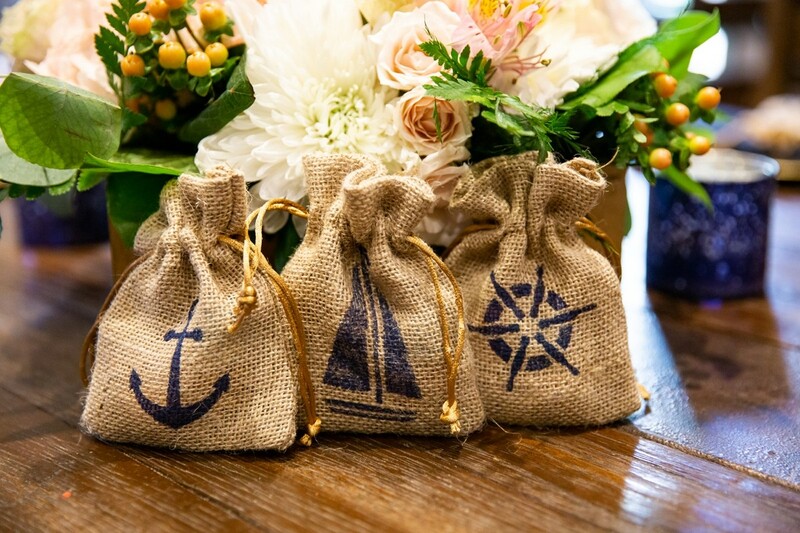 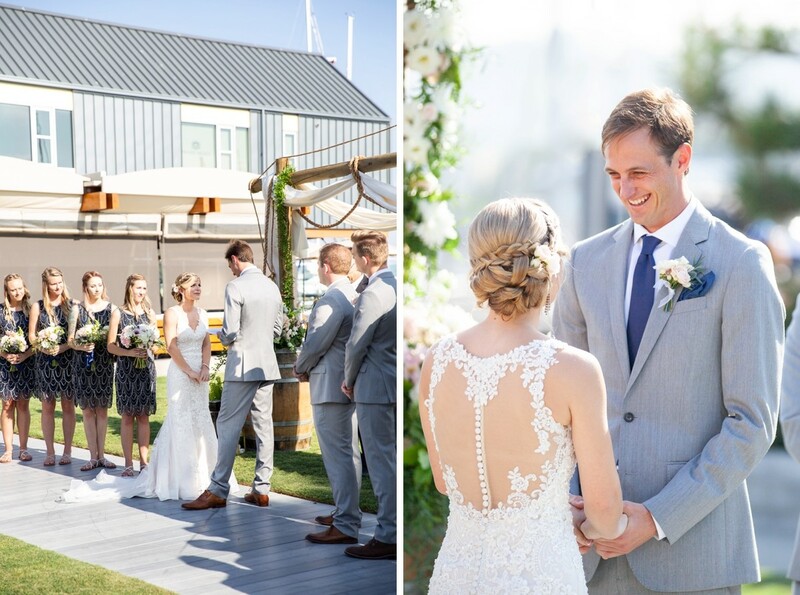 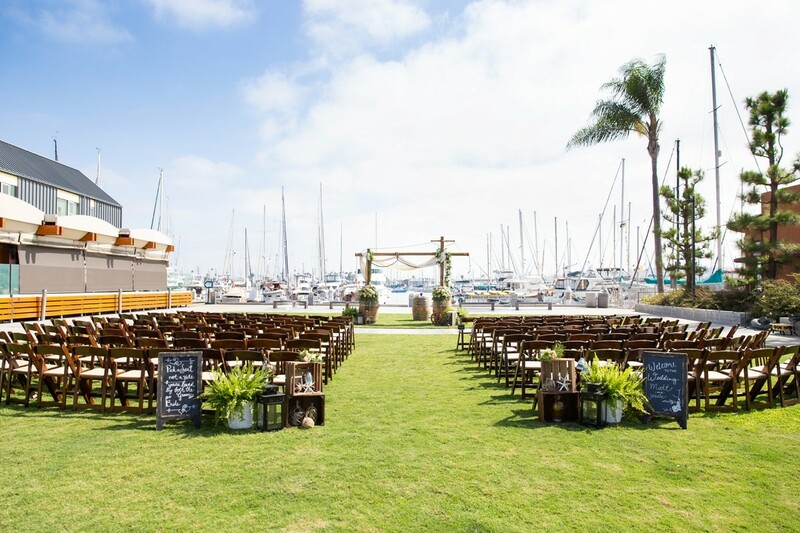 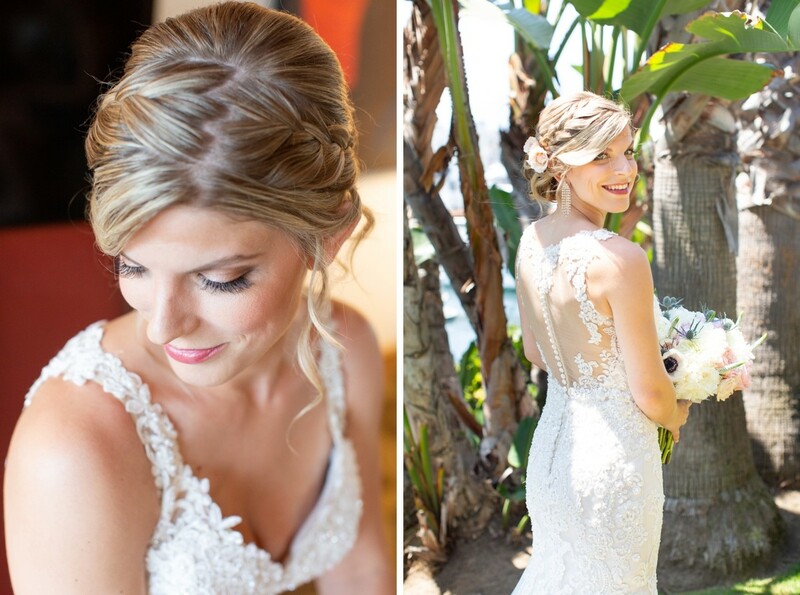 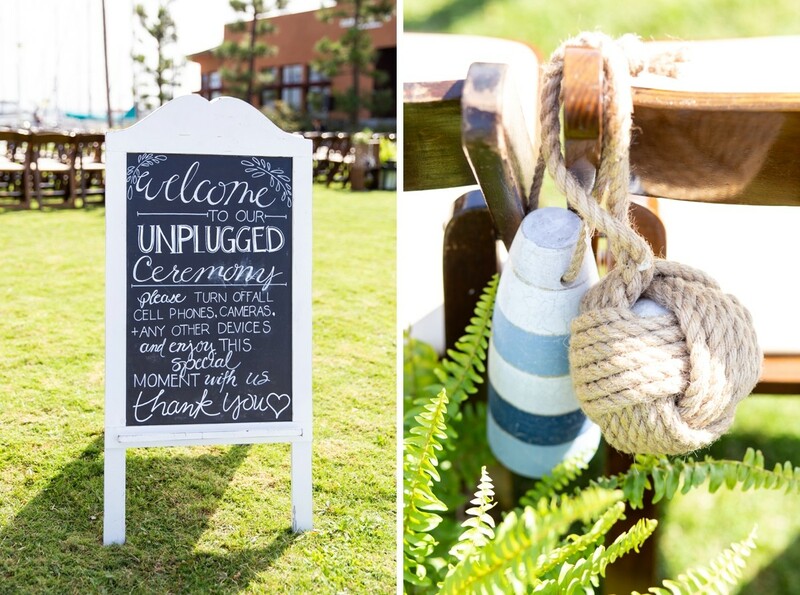 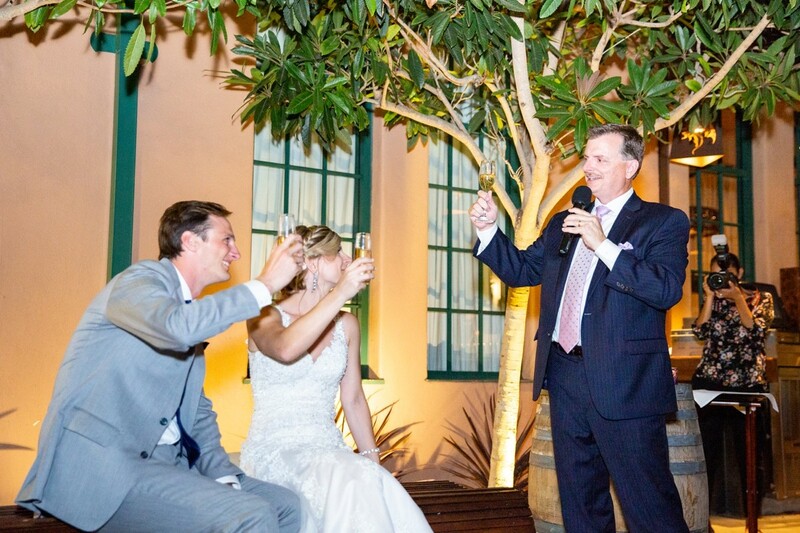 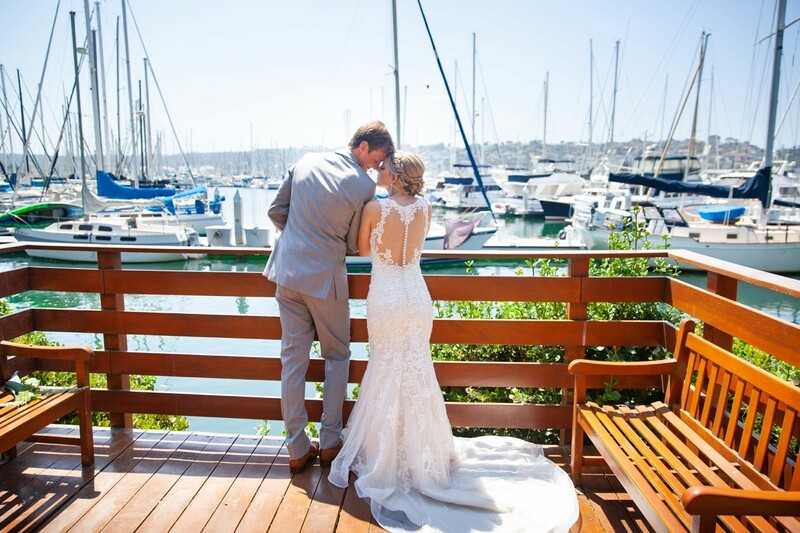 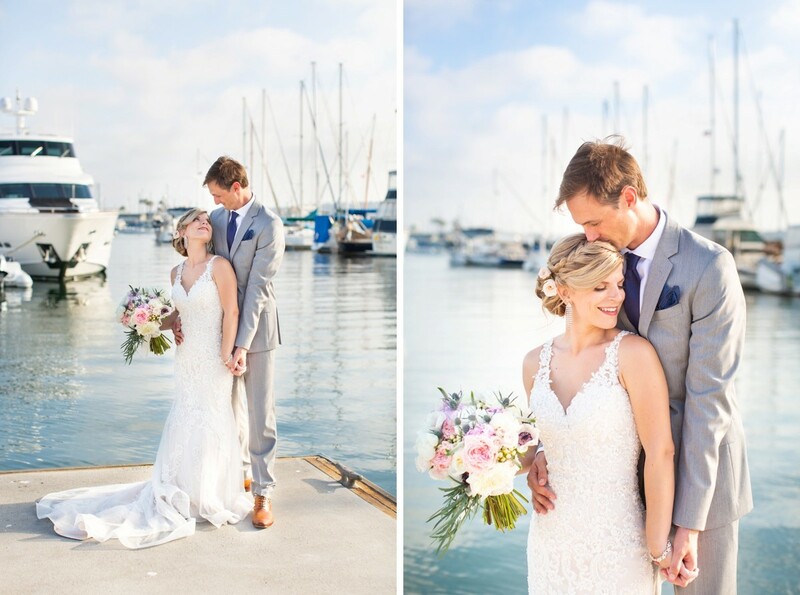 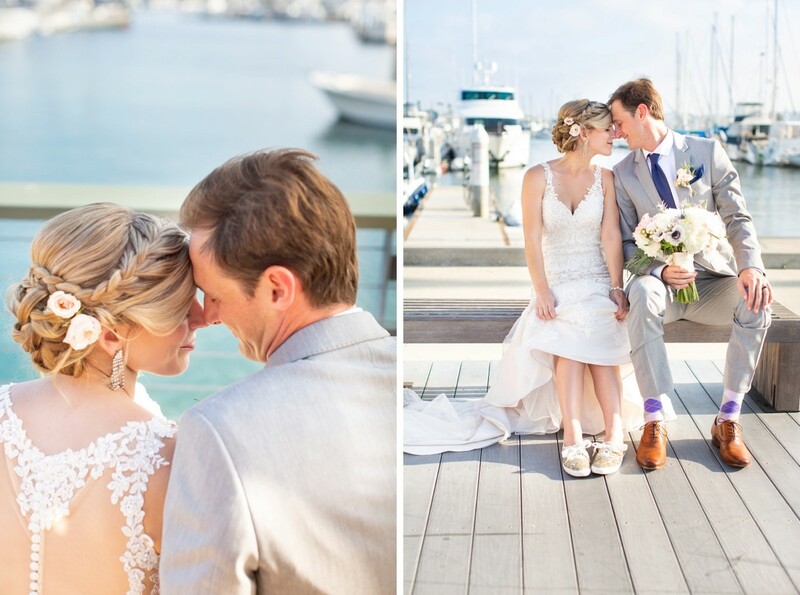 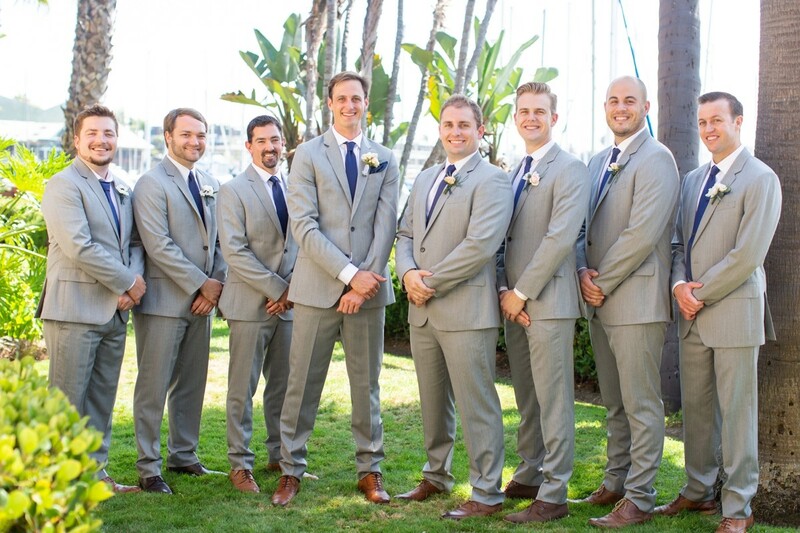 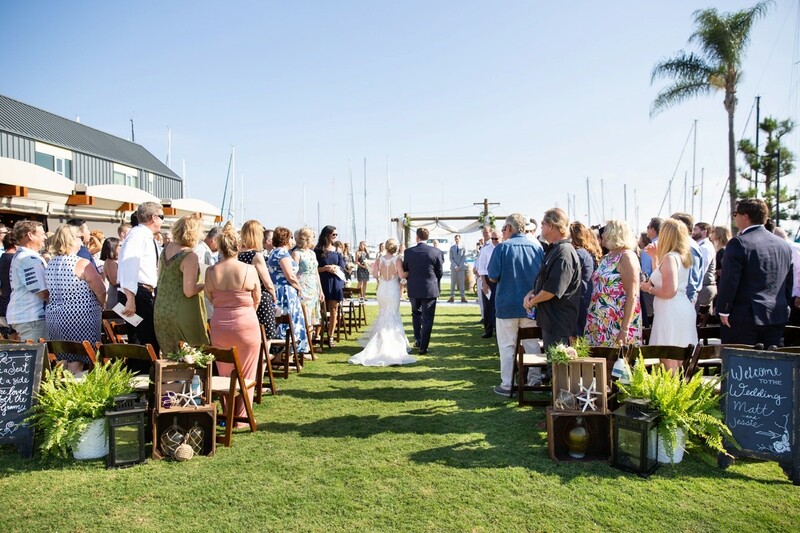 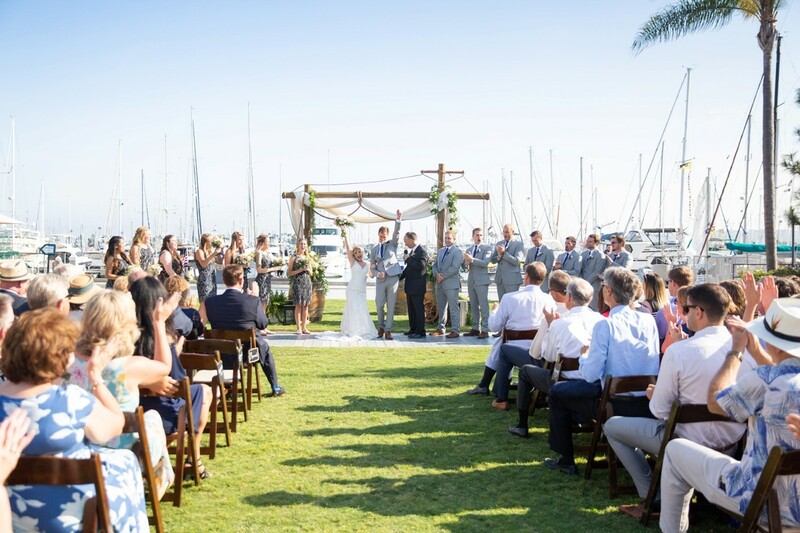 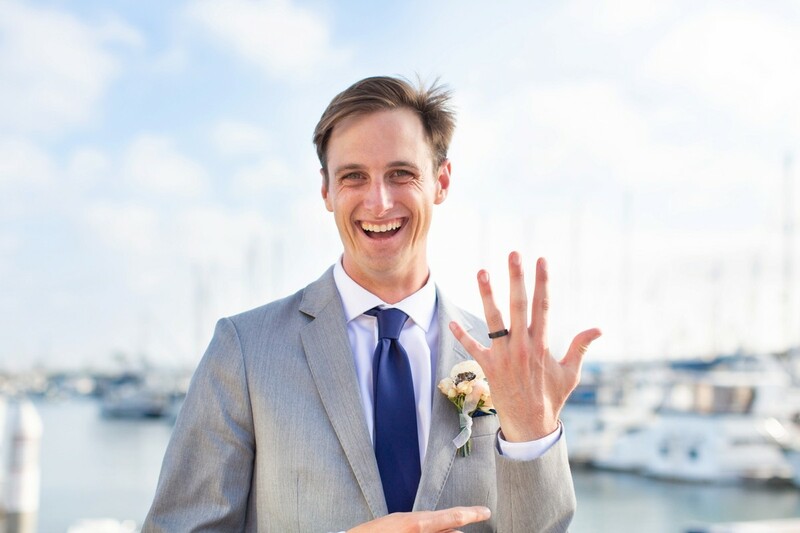 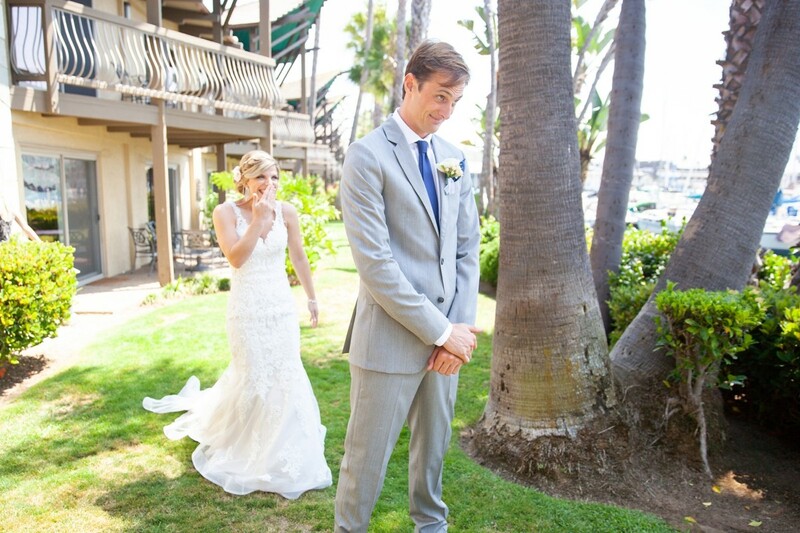 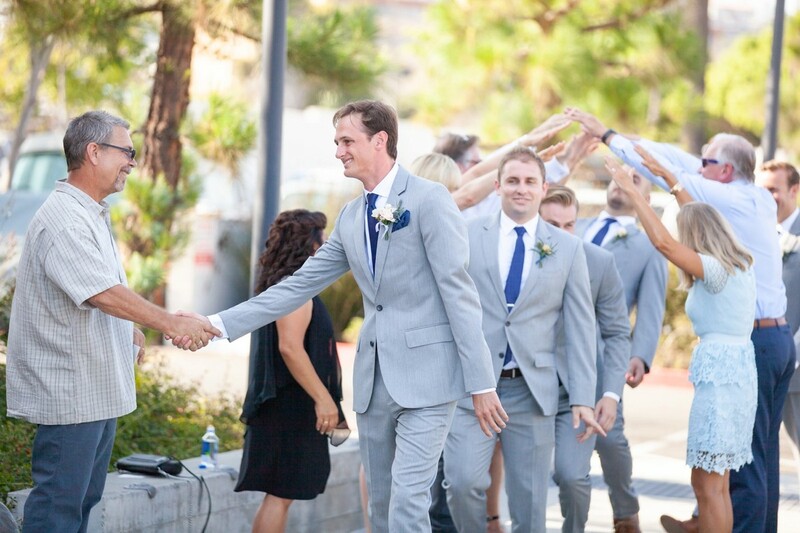 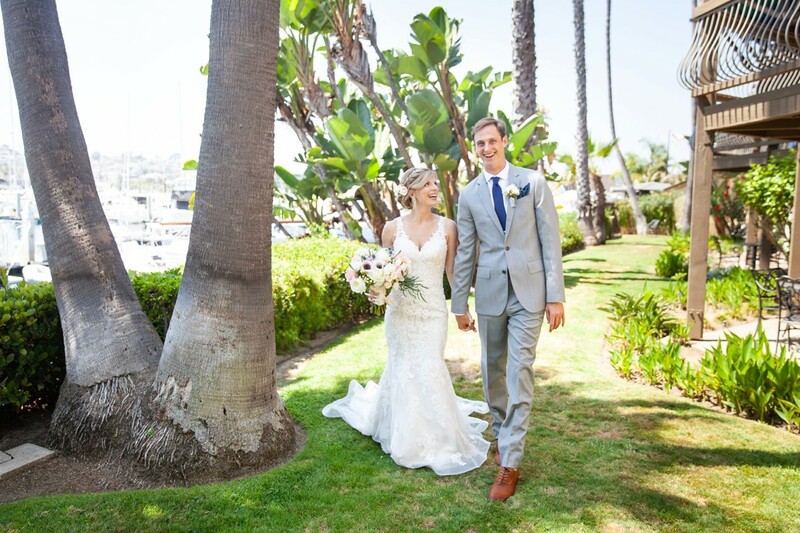 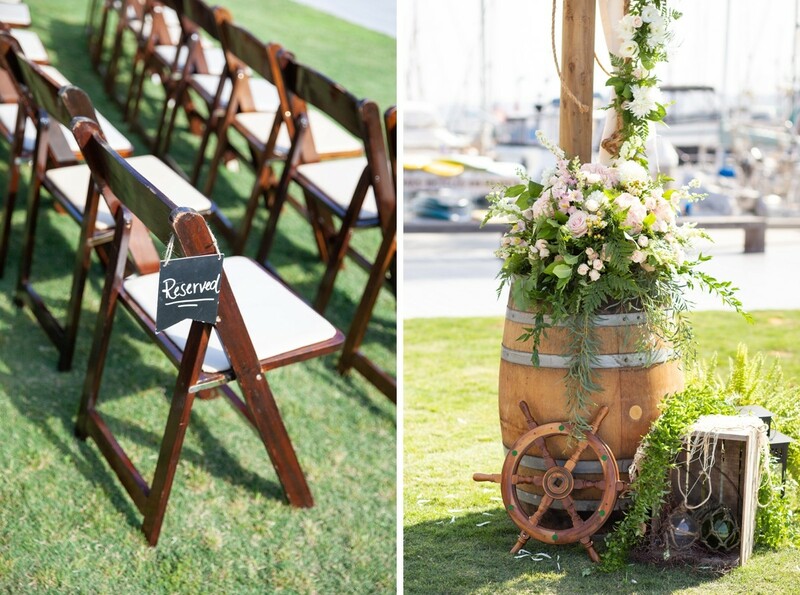 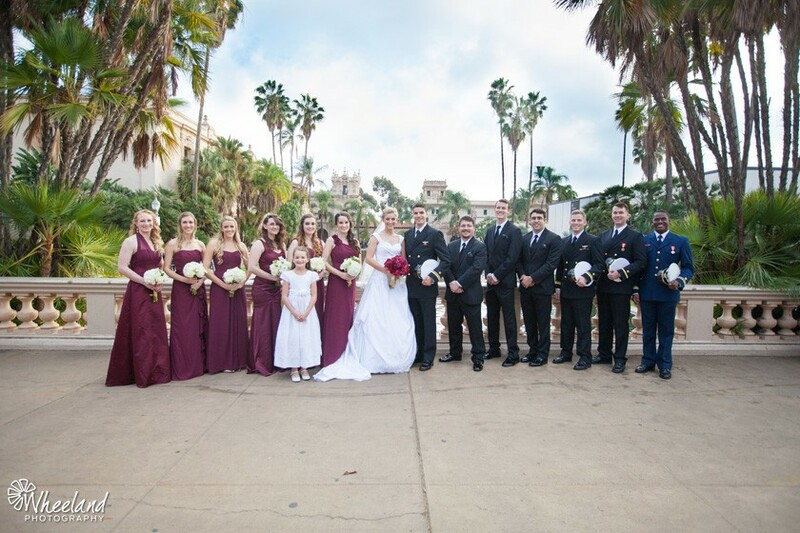 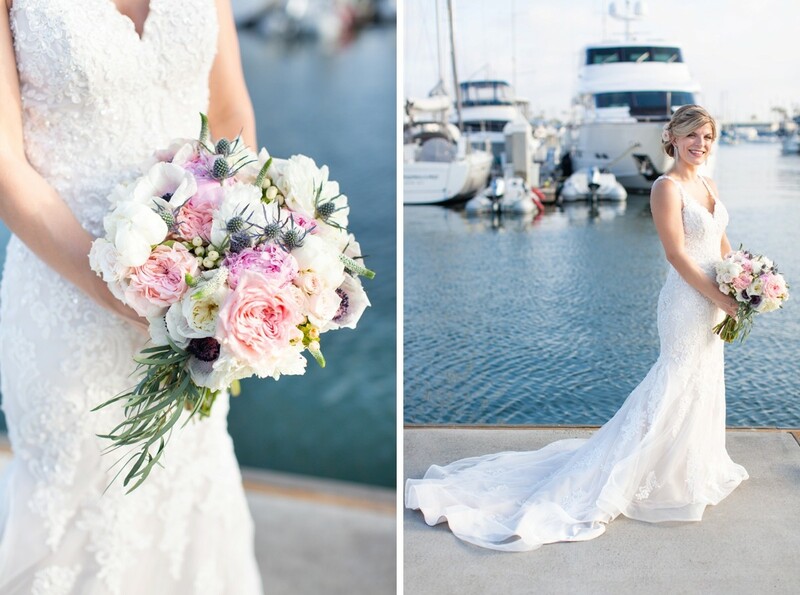 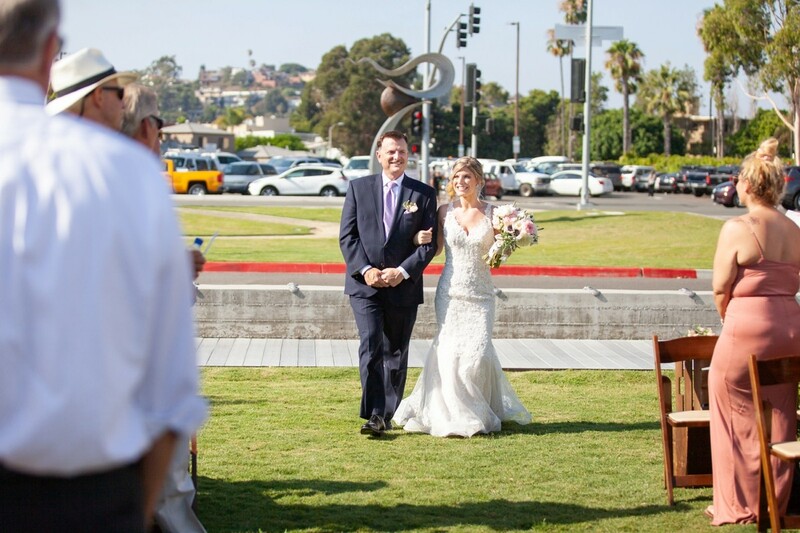 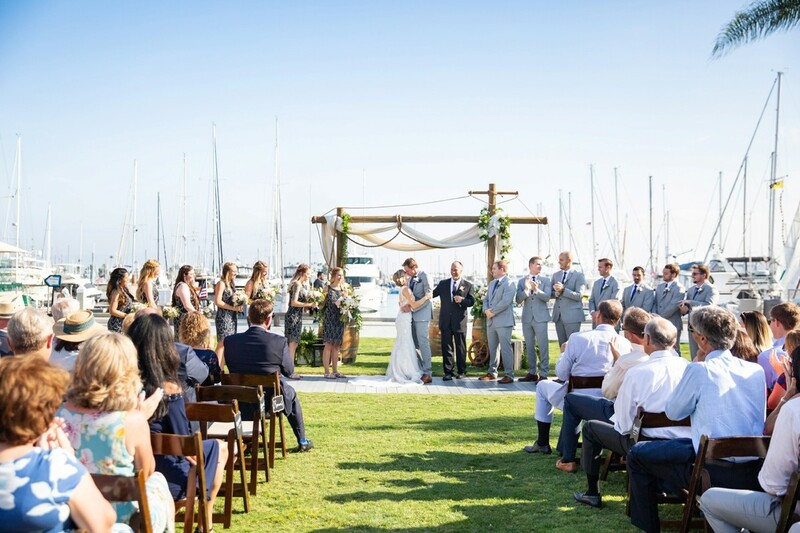 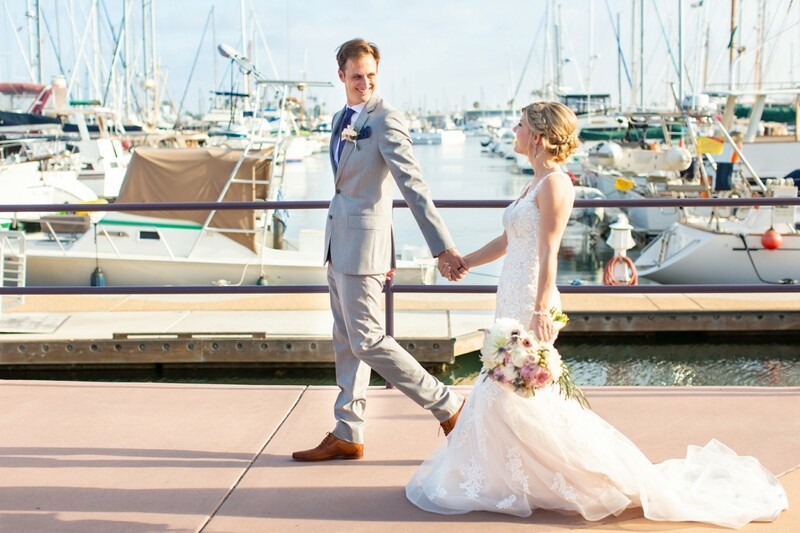 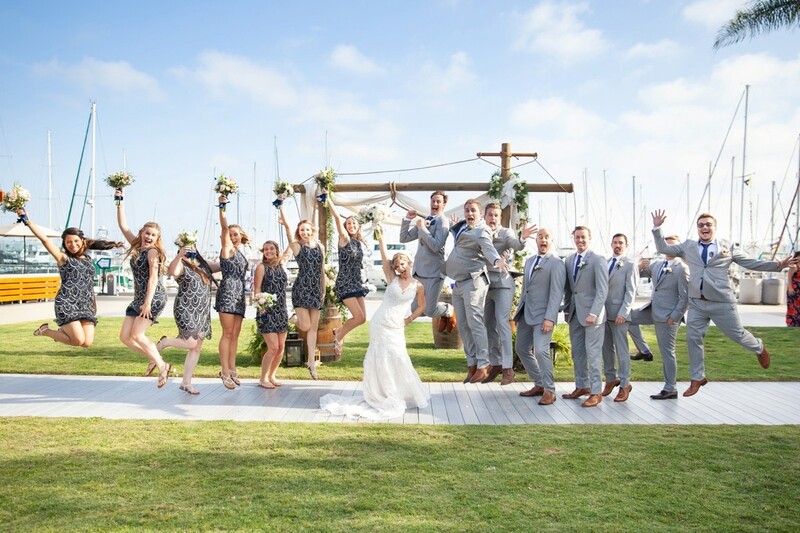 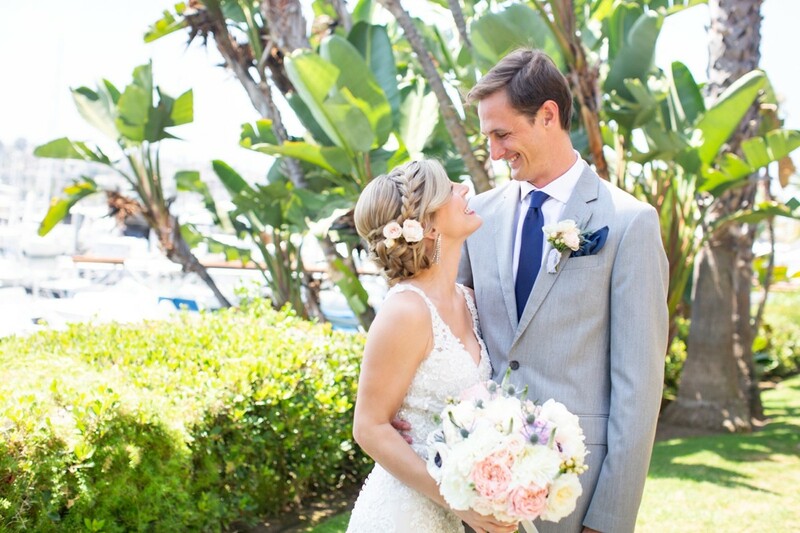 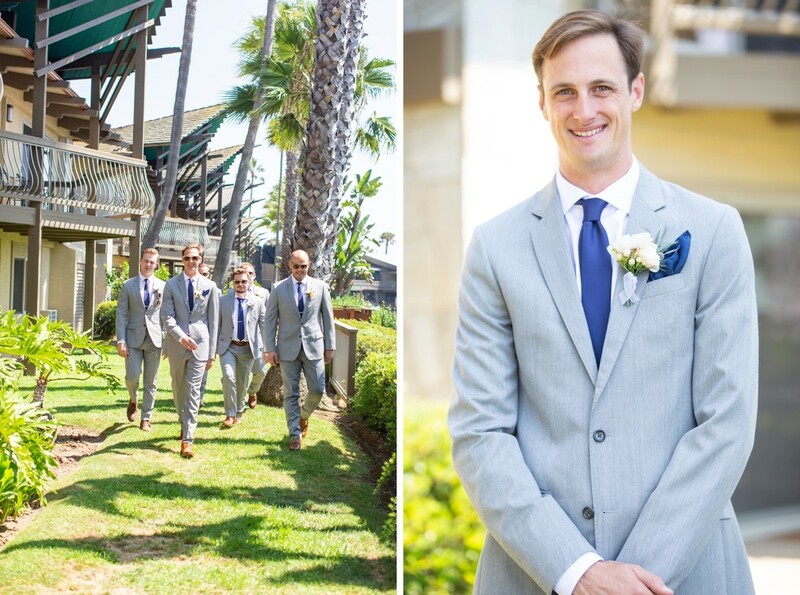 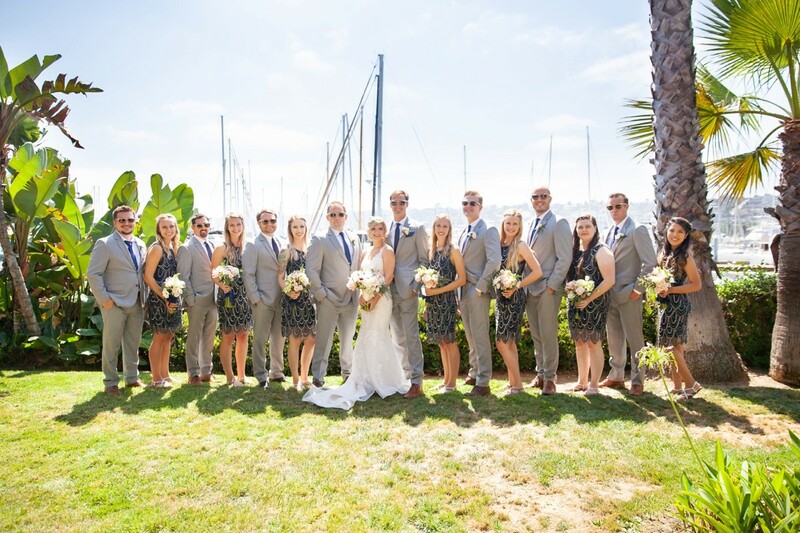 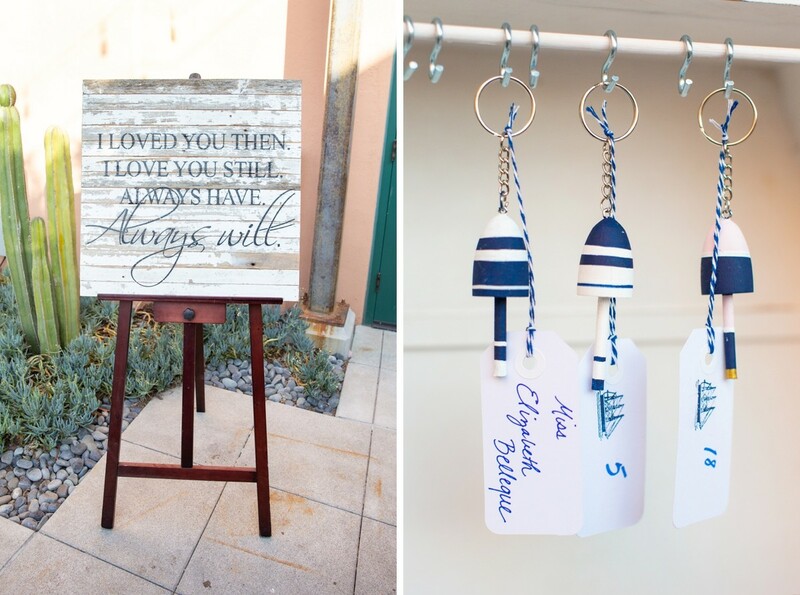 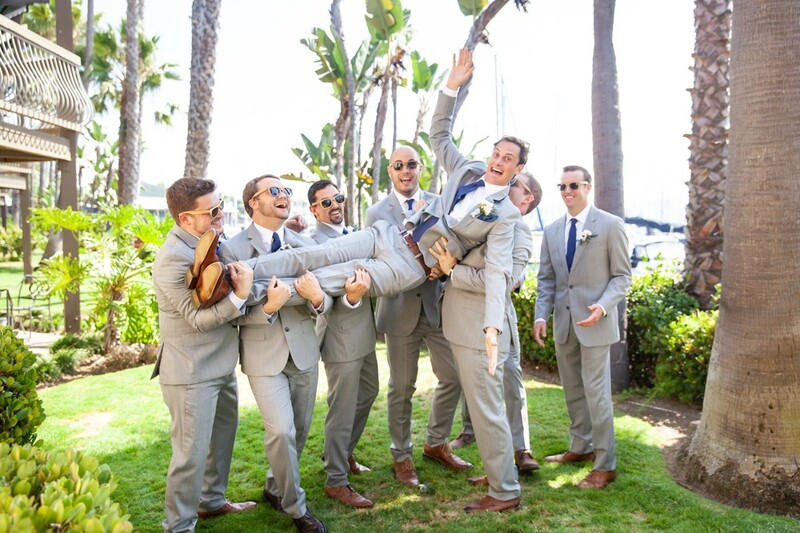 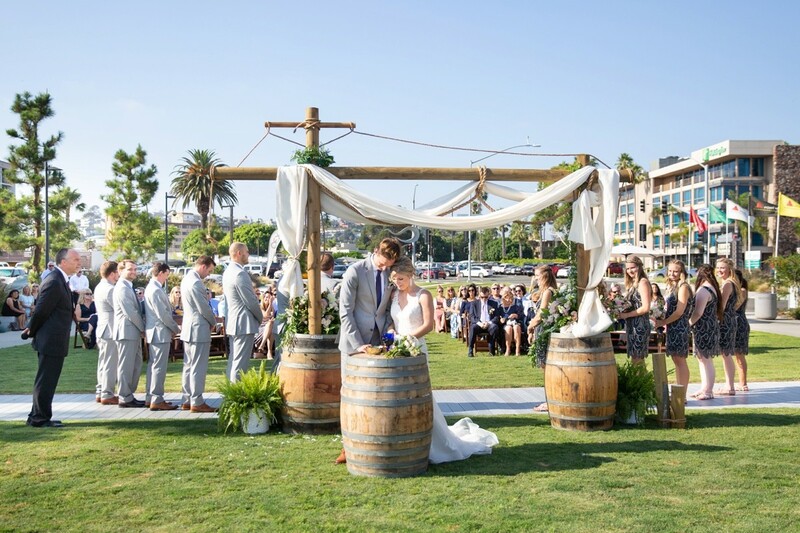 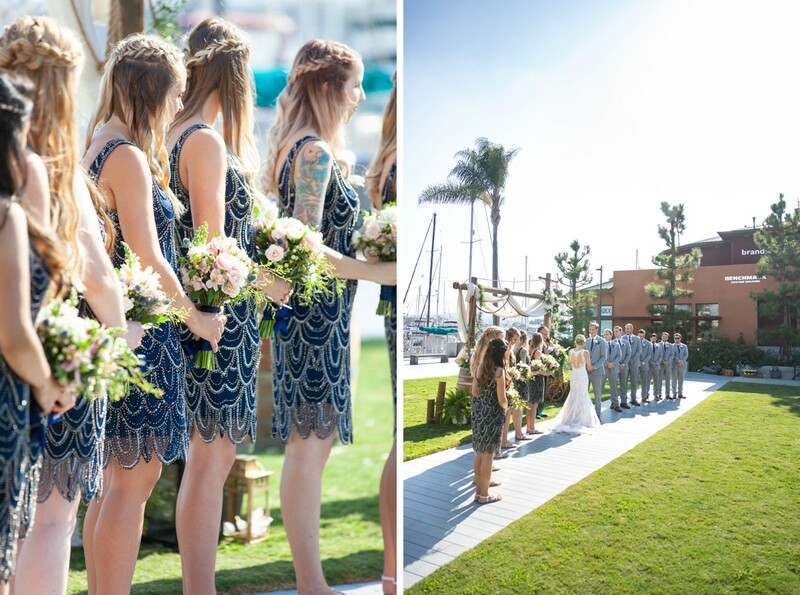 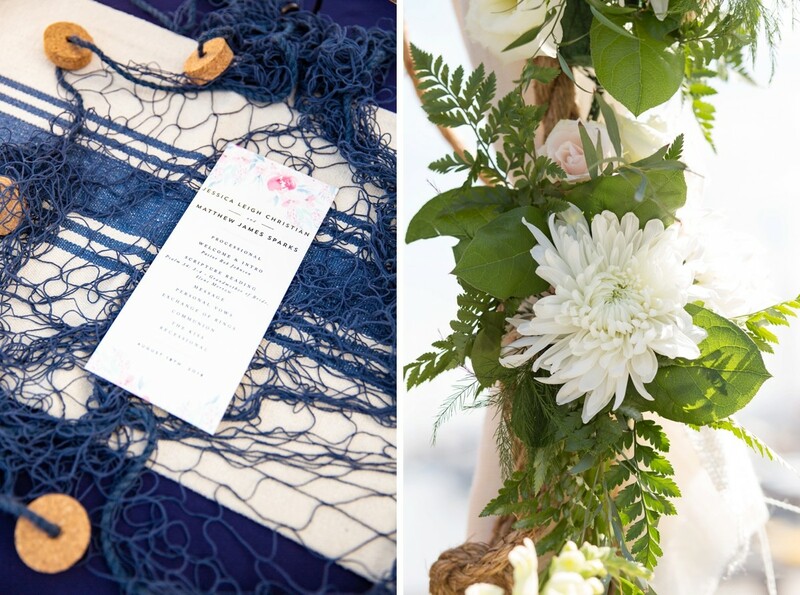 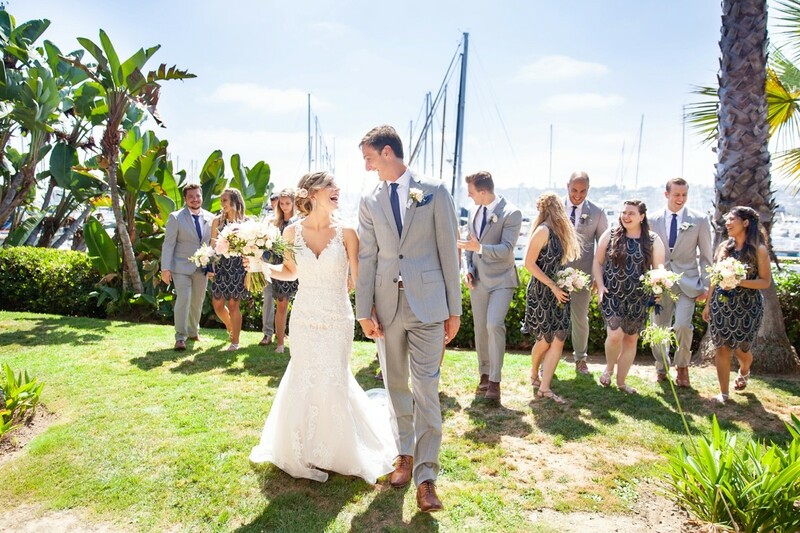 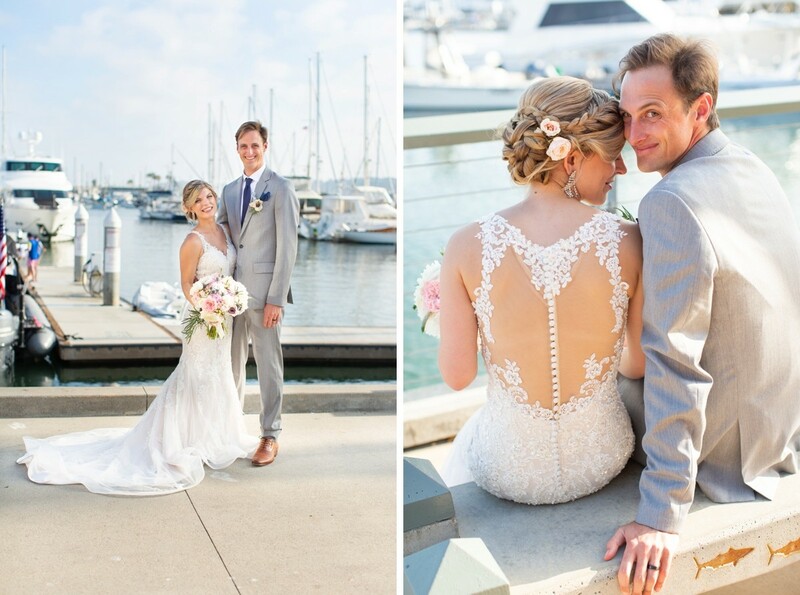 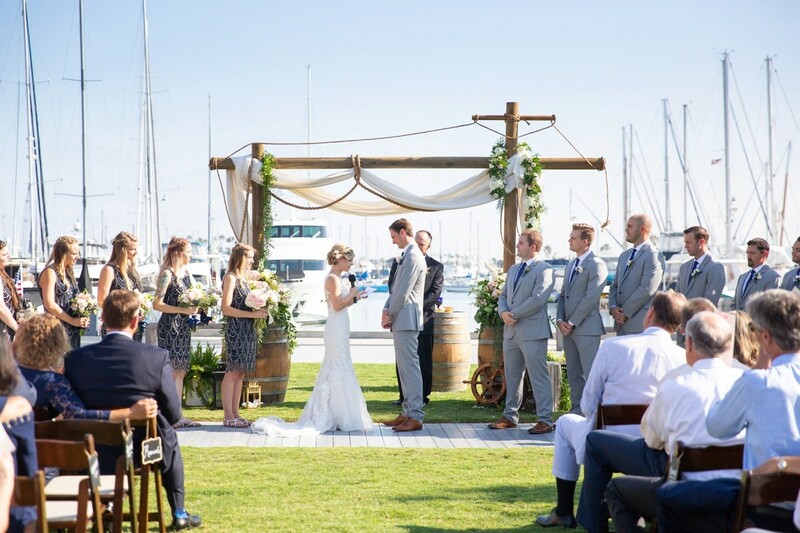 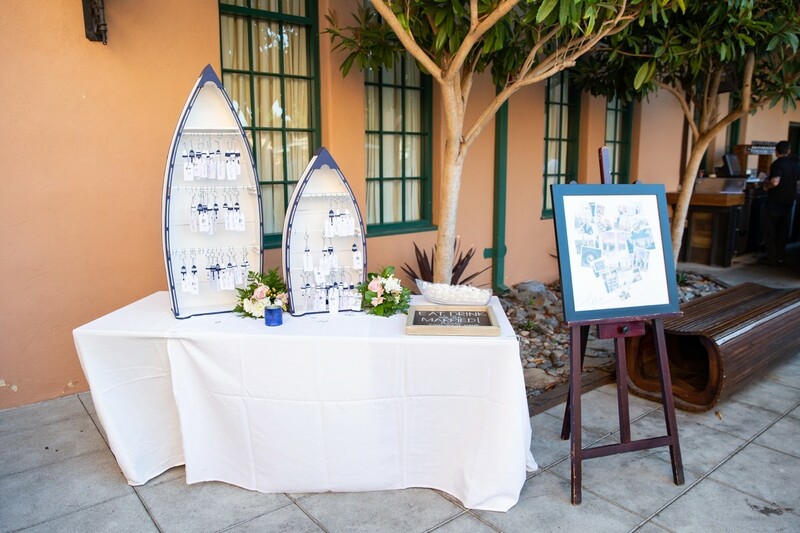 Their ceremony took place in the Point Loma Marina, looking out over the harbor. 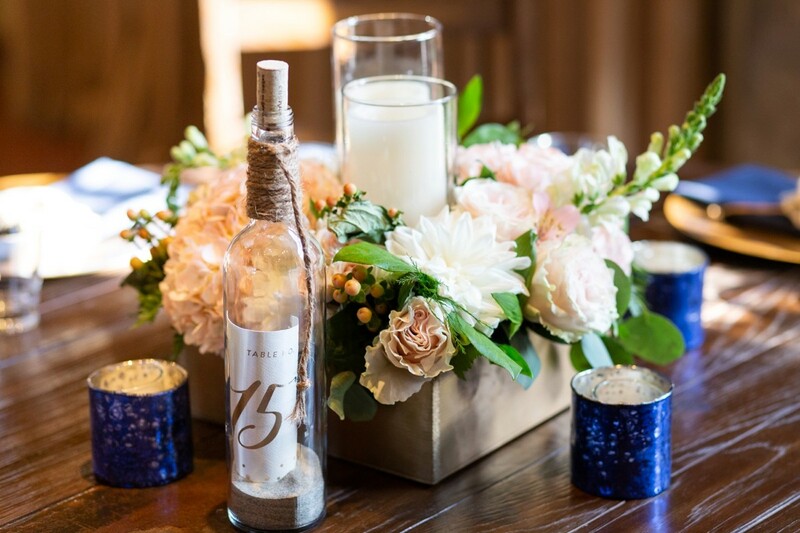 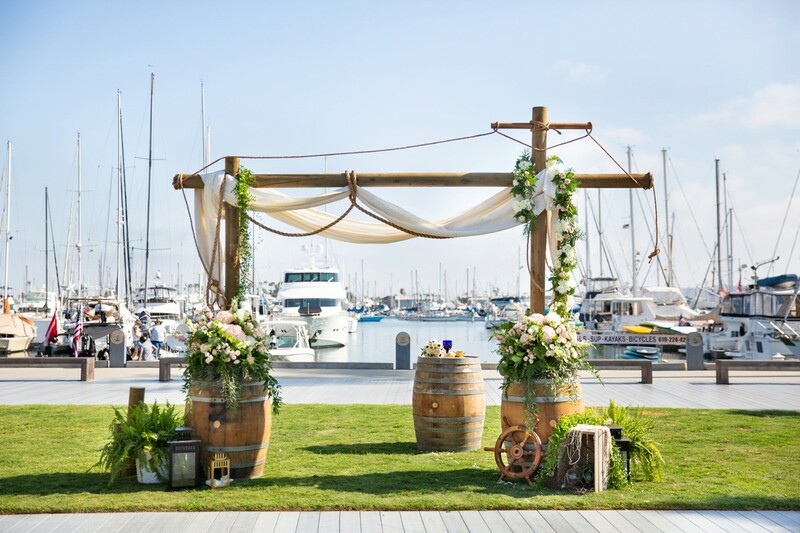 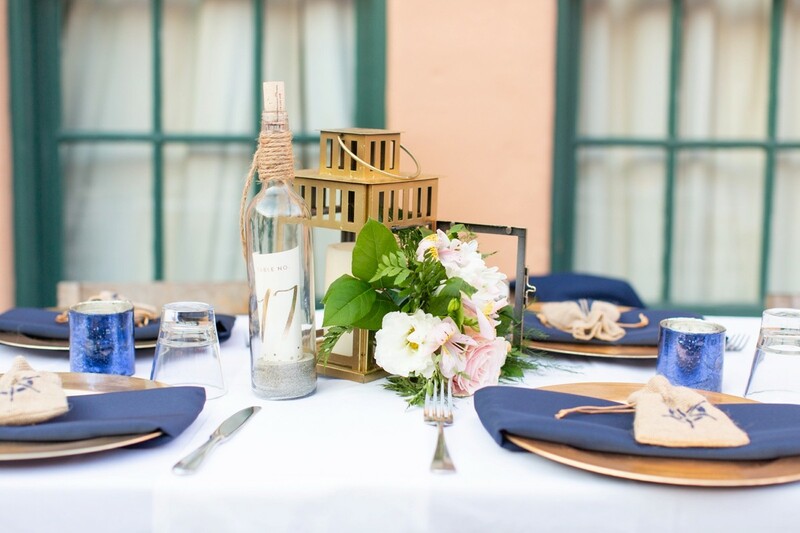 Tara with Sweet Blossom Designs did an incredible job creating a nautical arch for their alter draped like a mast of a sail boat and bordered with wine barrels and greenery. 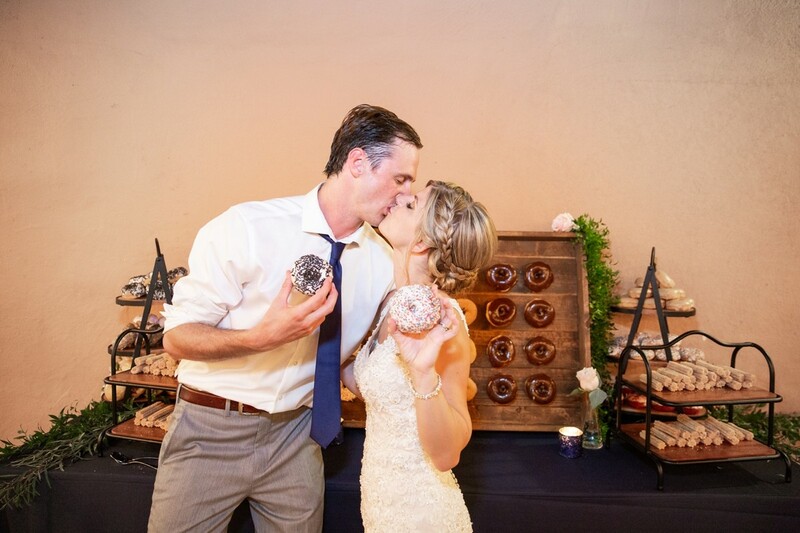 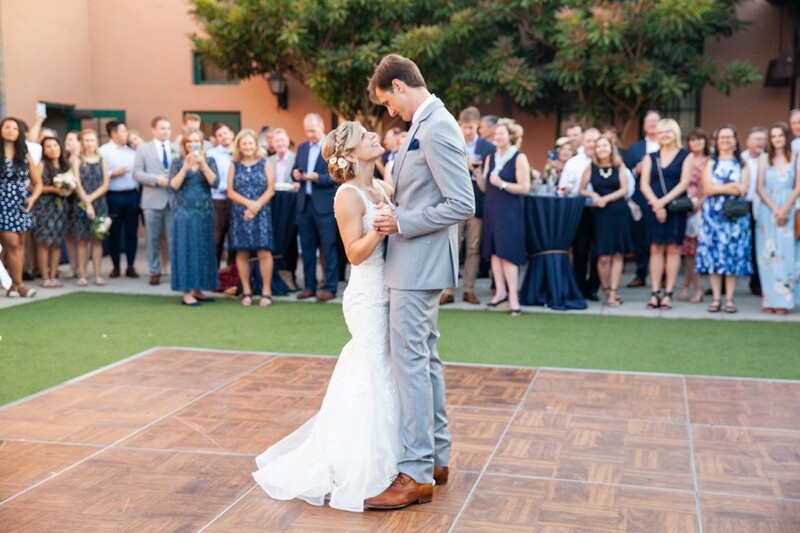 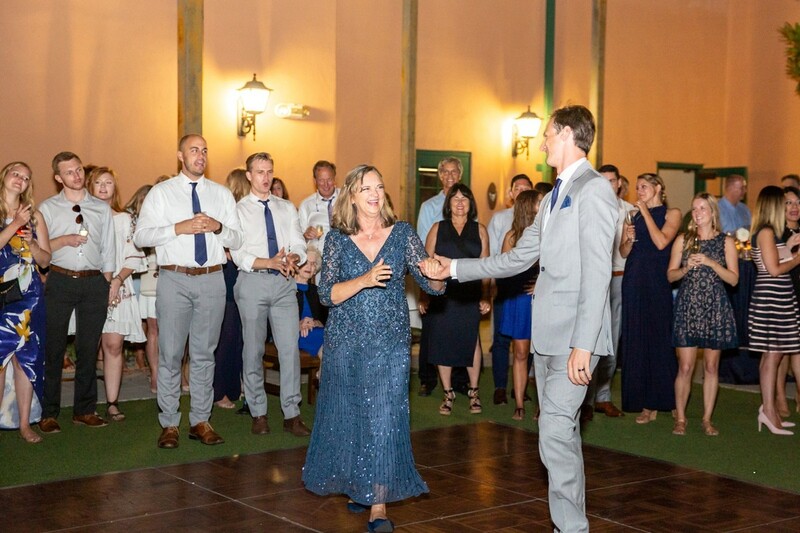 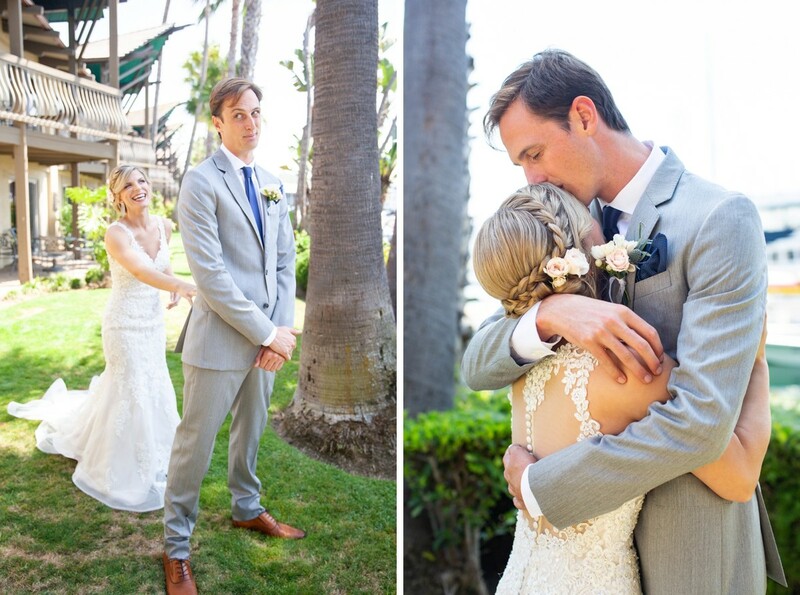 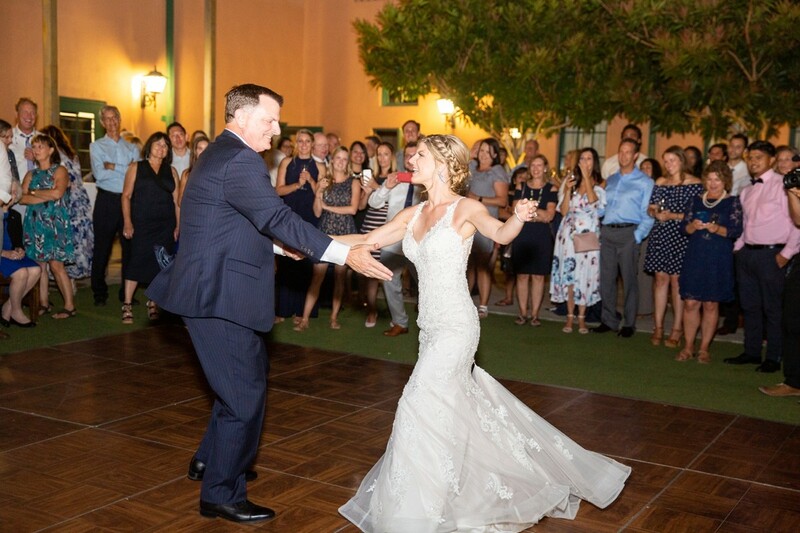 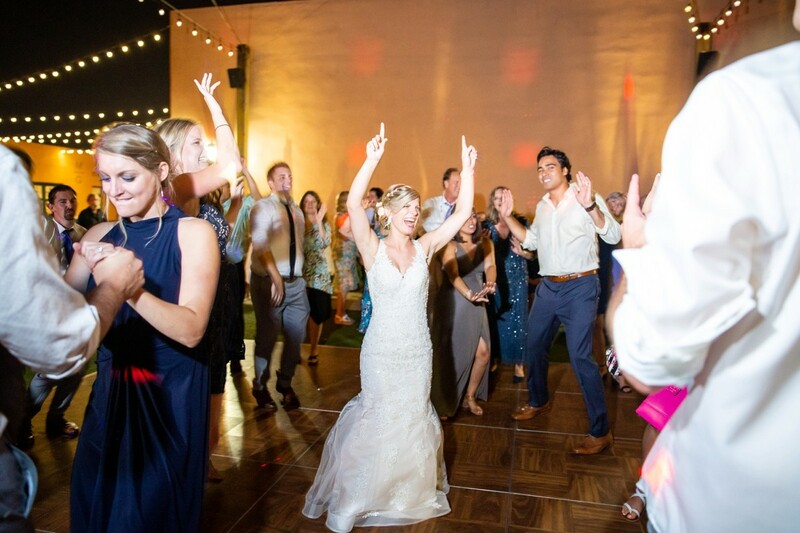 After they said their vows and exchanged rings for each other, Matt and Jessie shared communion together – taking time to thank God for His love and asking his blessing on their marriage and journey ahead. 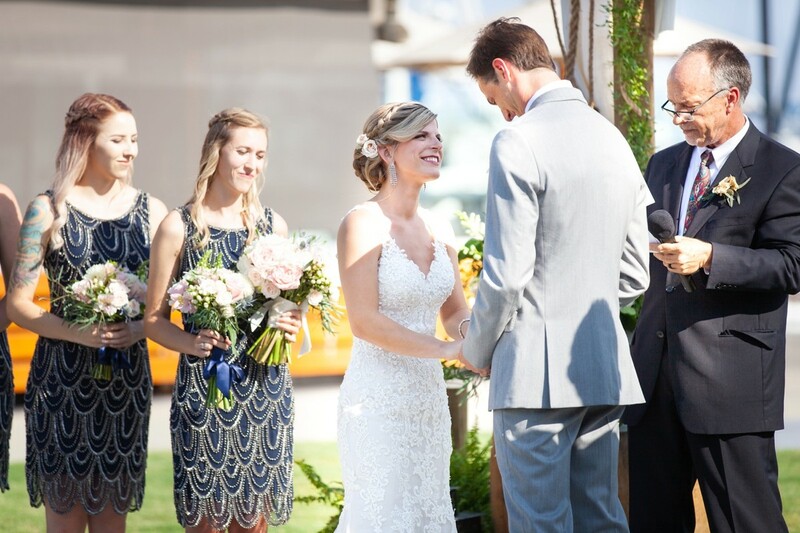 Their love for each other and their love for the Lord are so beautiful to witness. 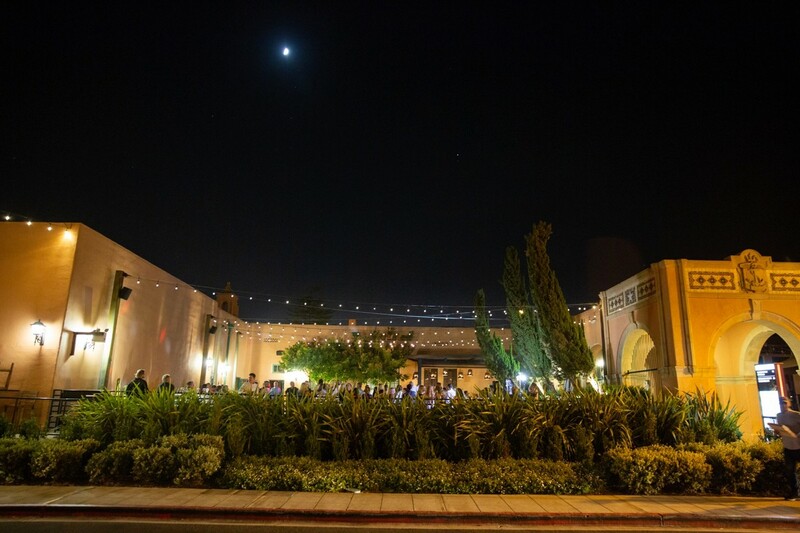 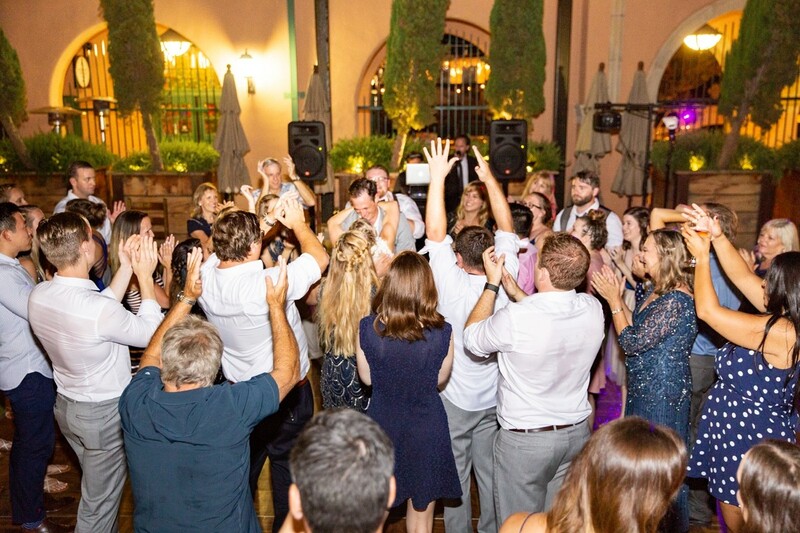 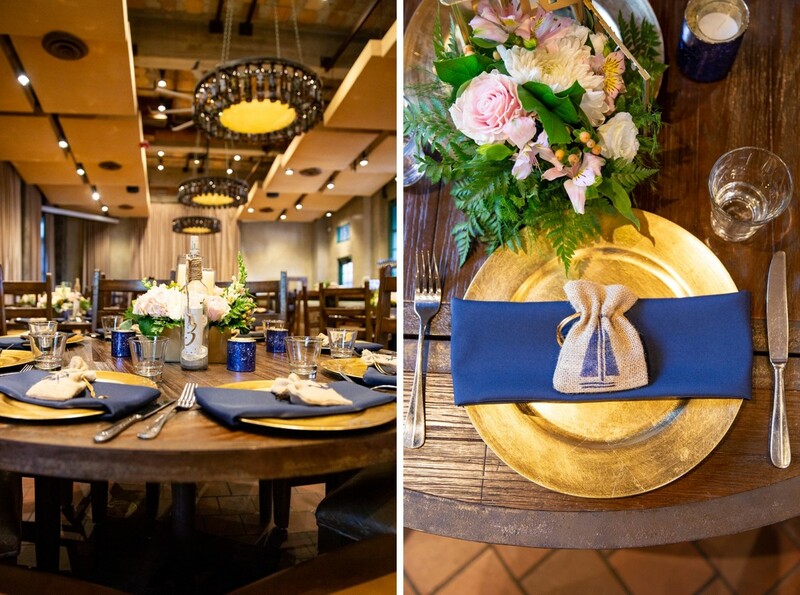 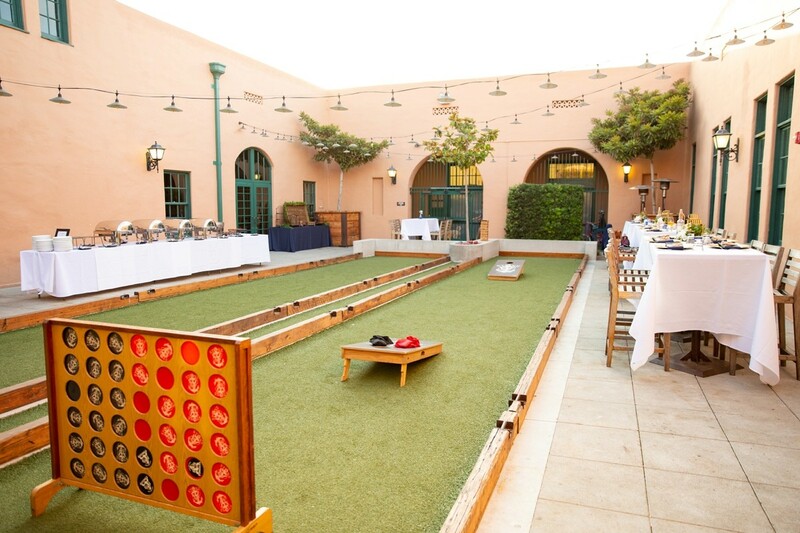 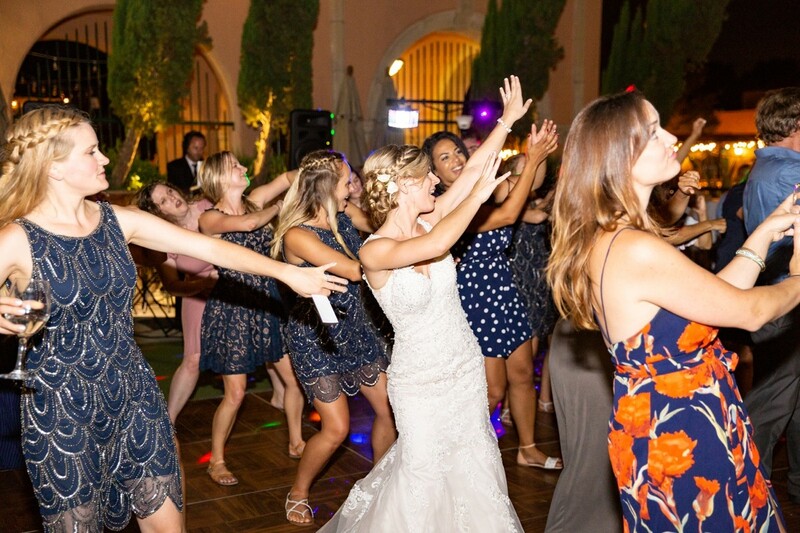 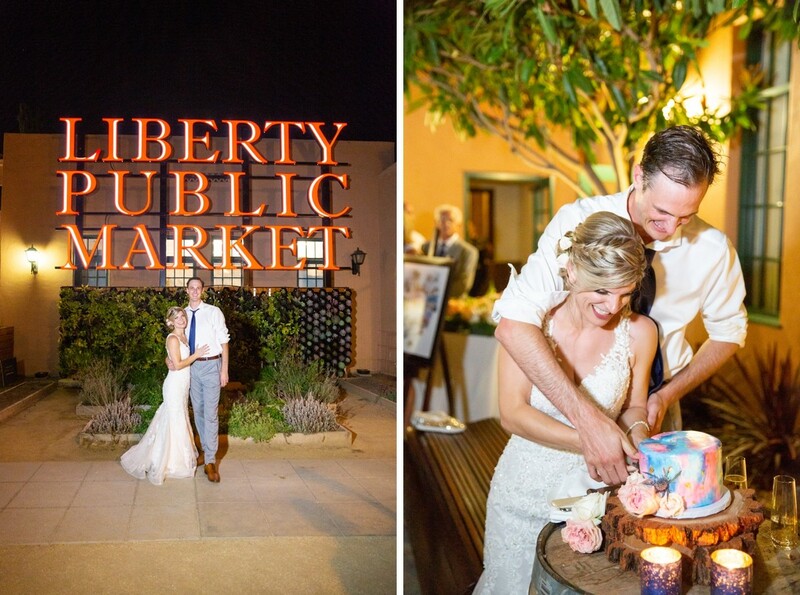 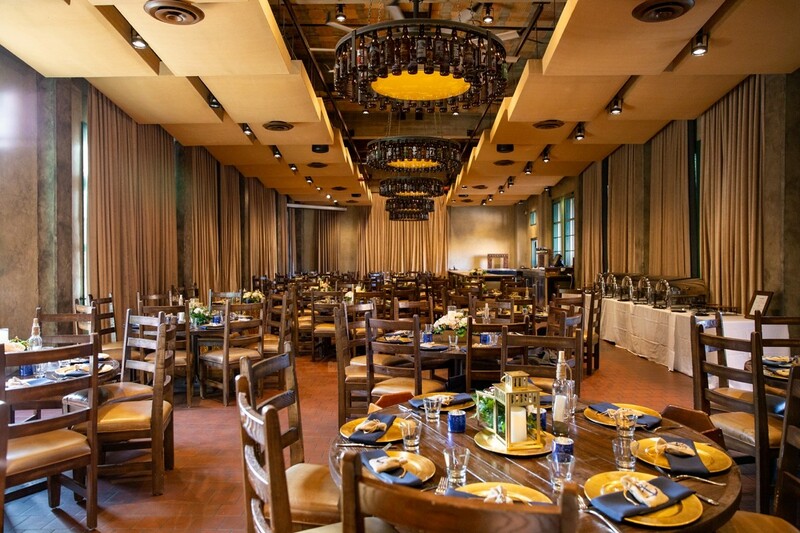 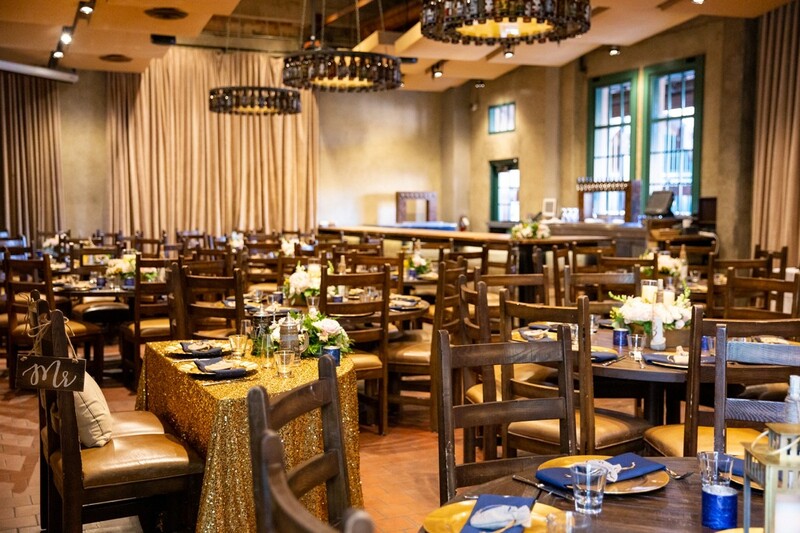 The wedding reception to follow was at Stone Brewery at Liberty Station. 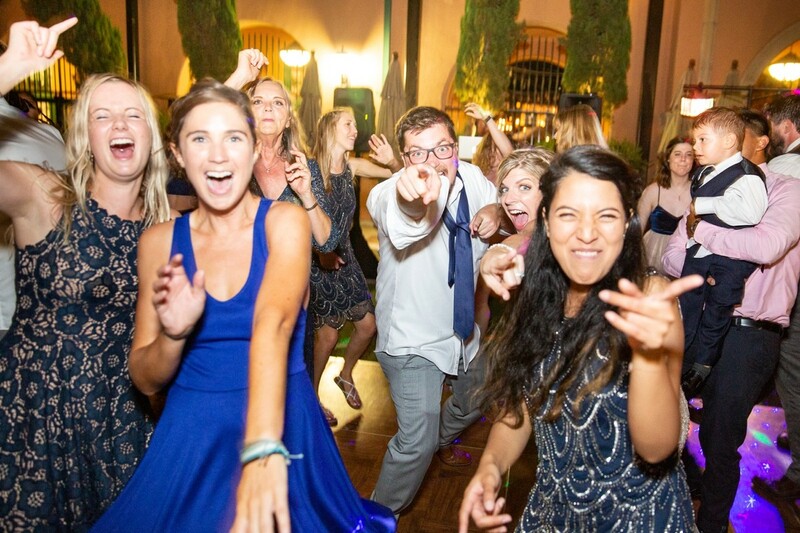 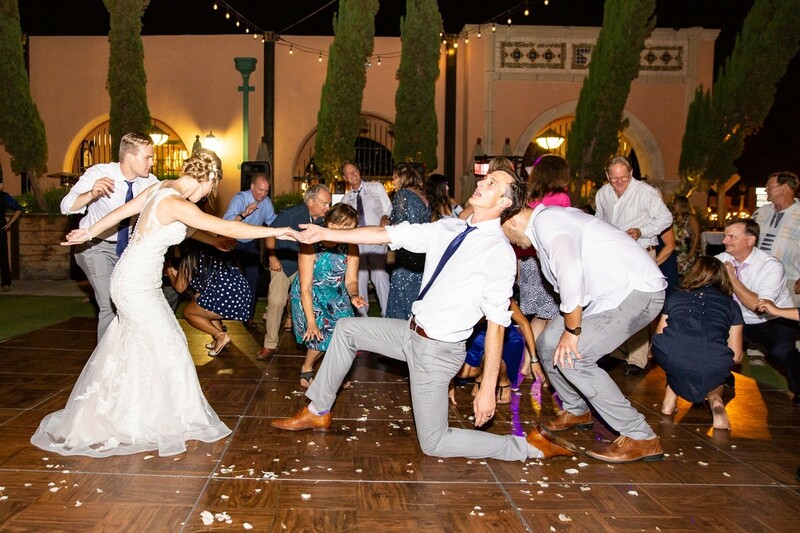 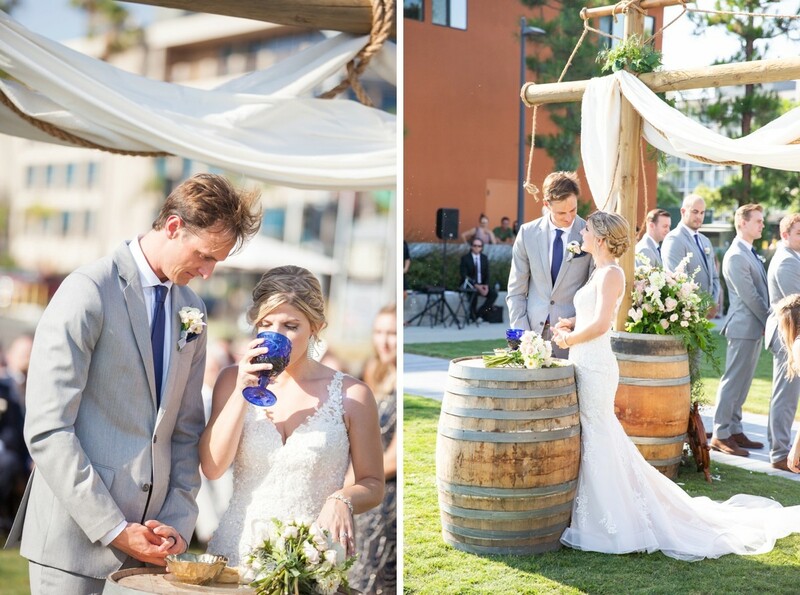 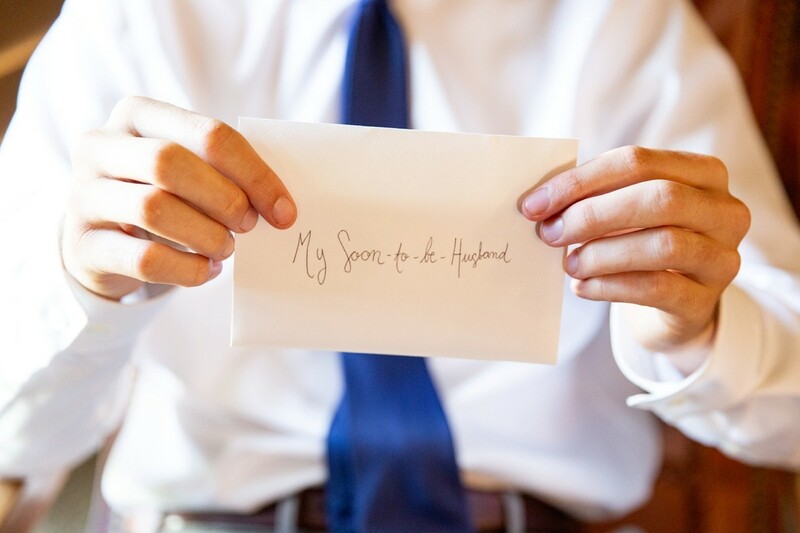 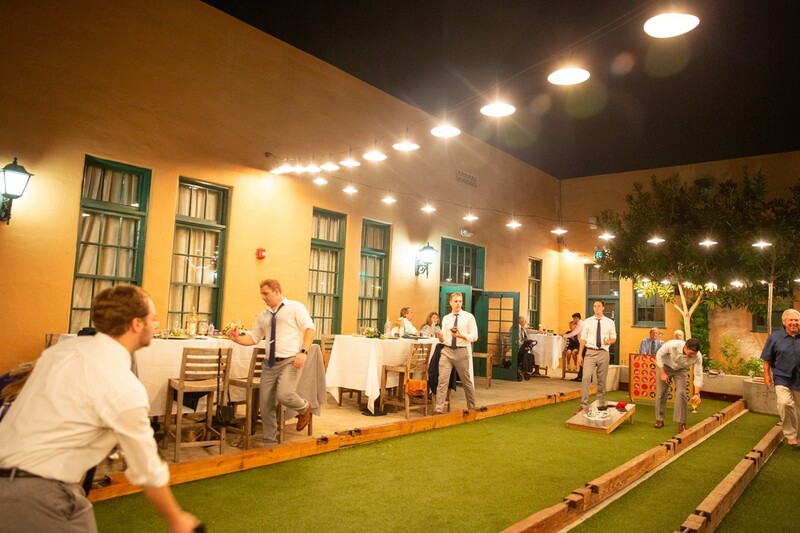 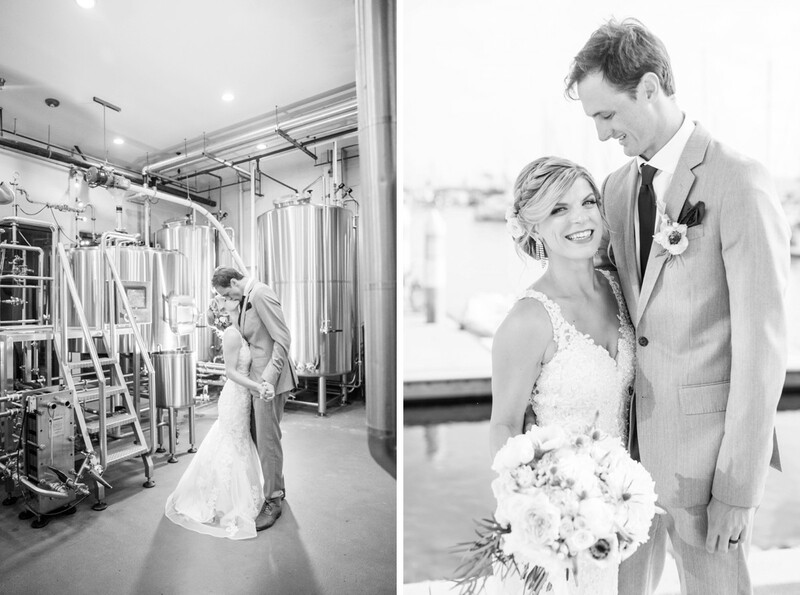 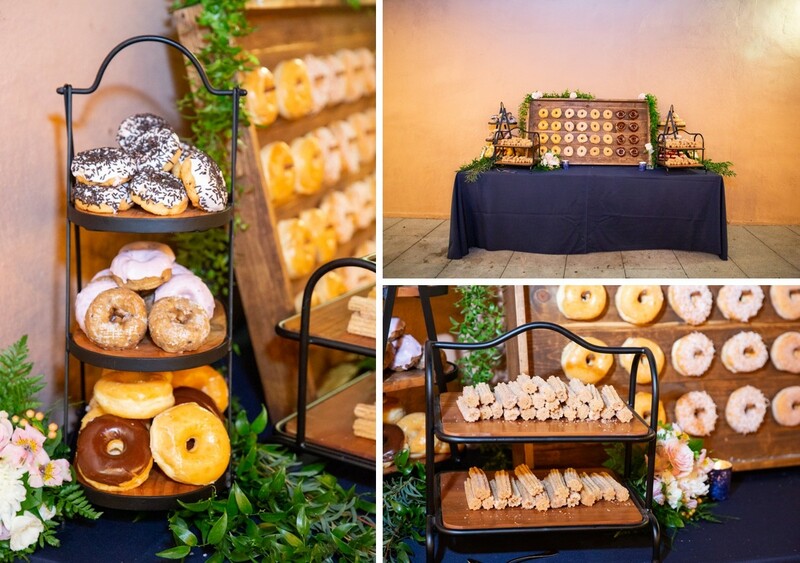 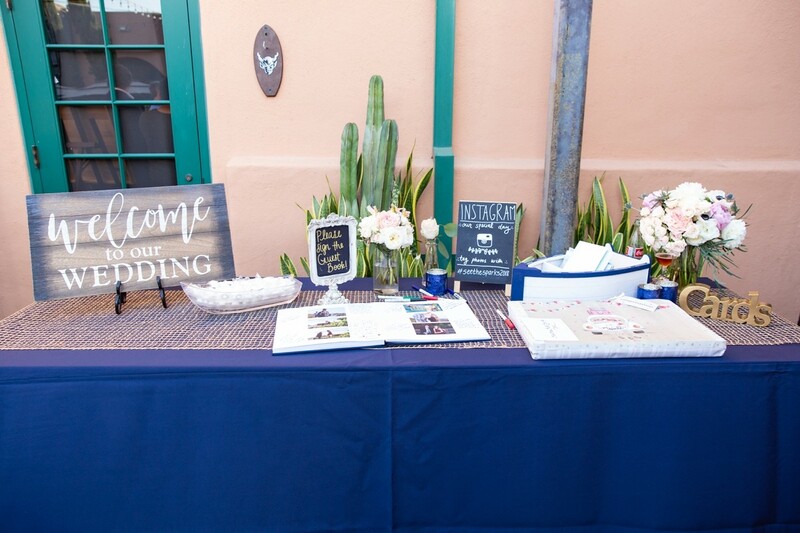 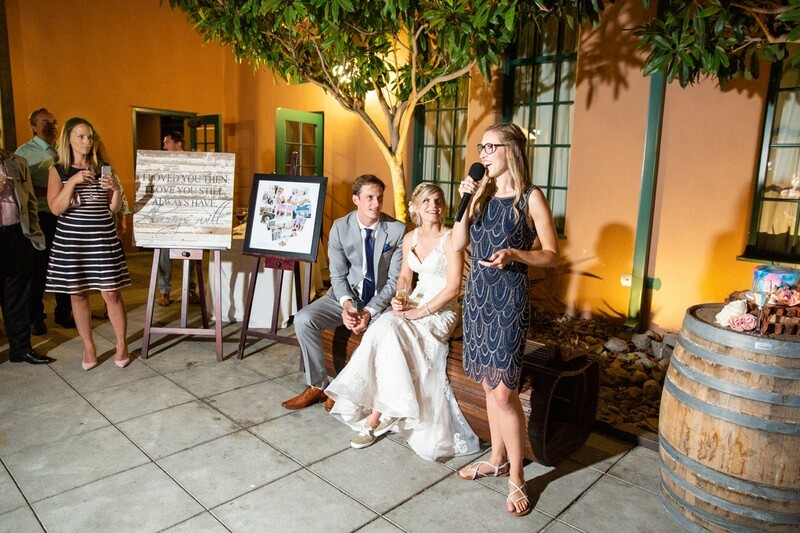 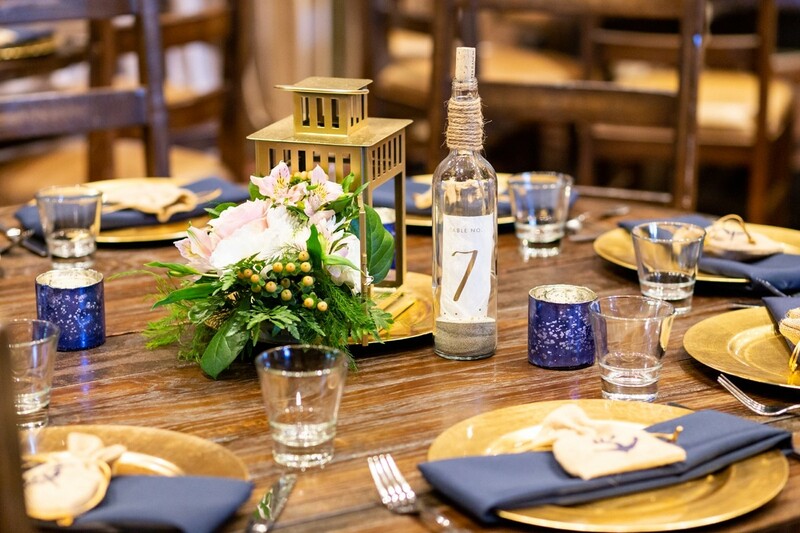 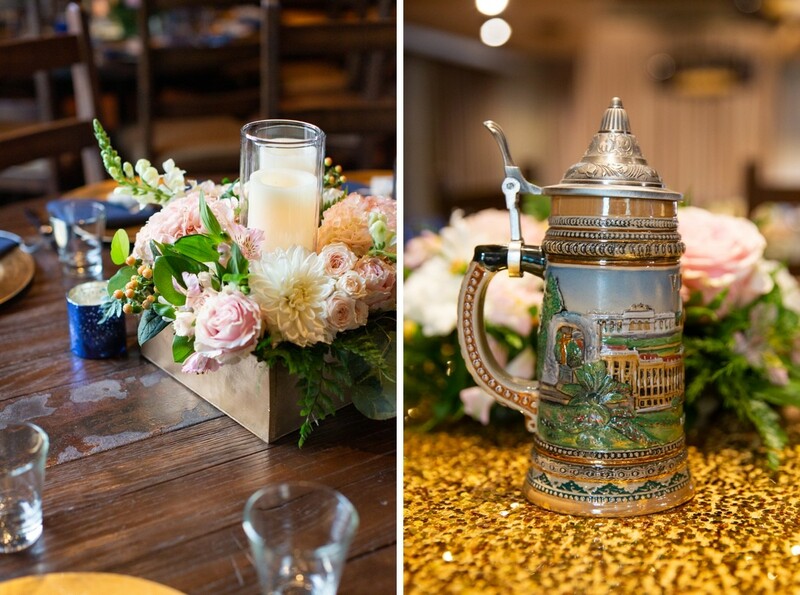 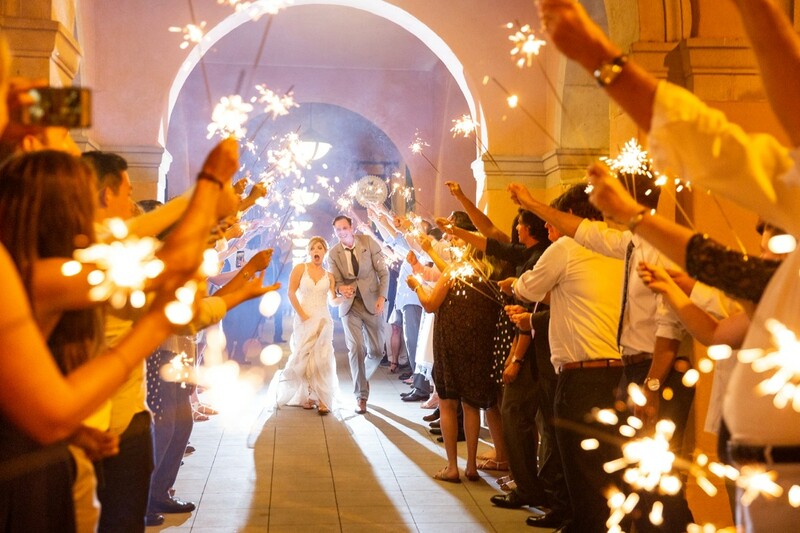 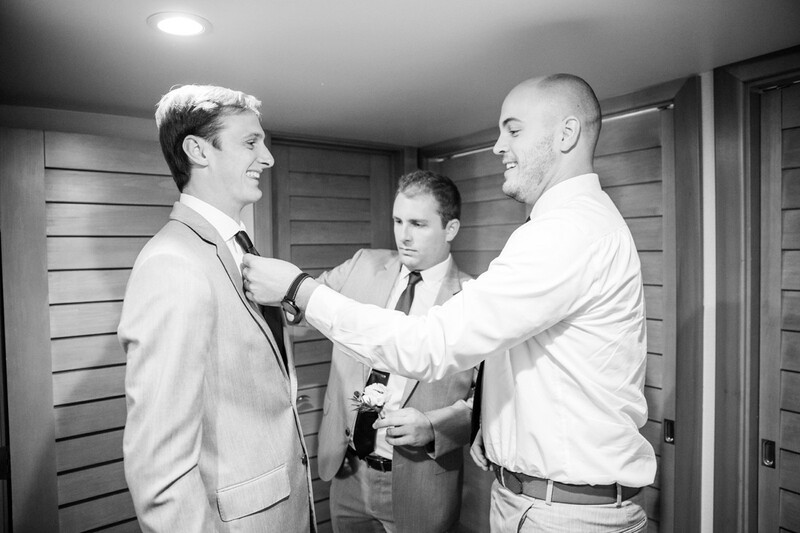 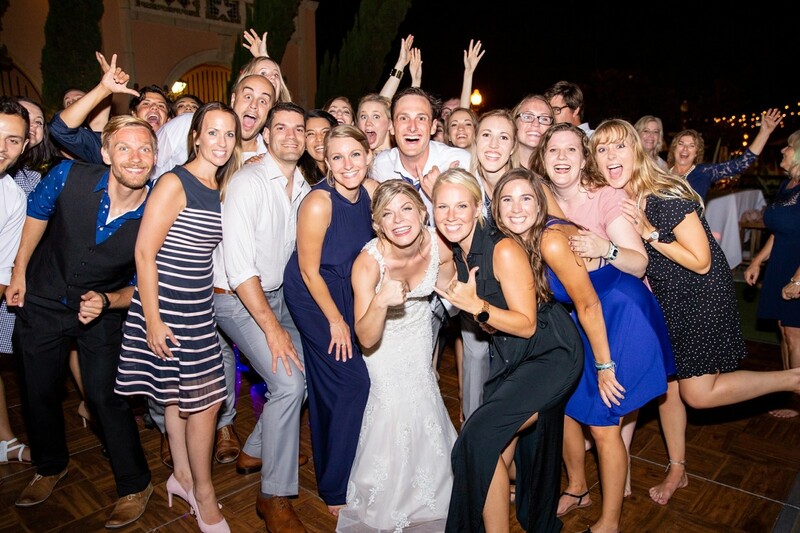 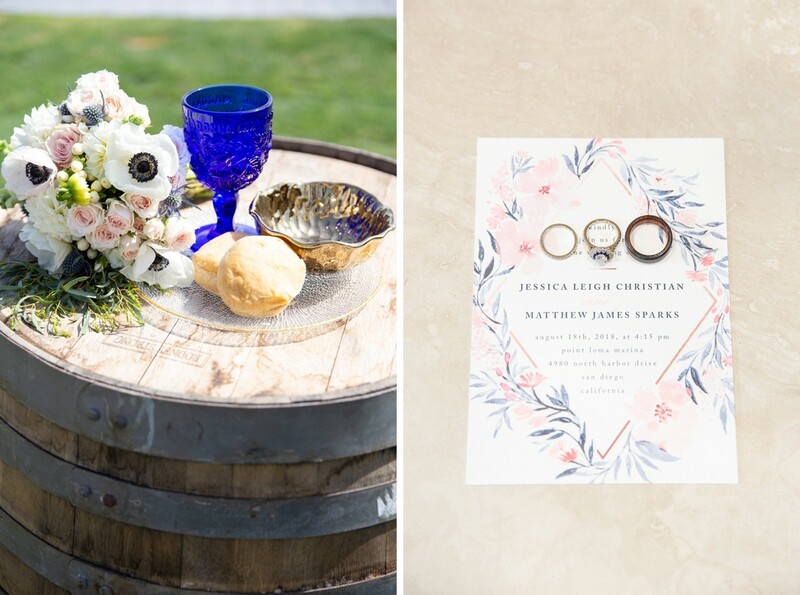 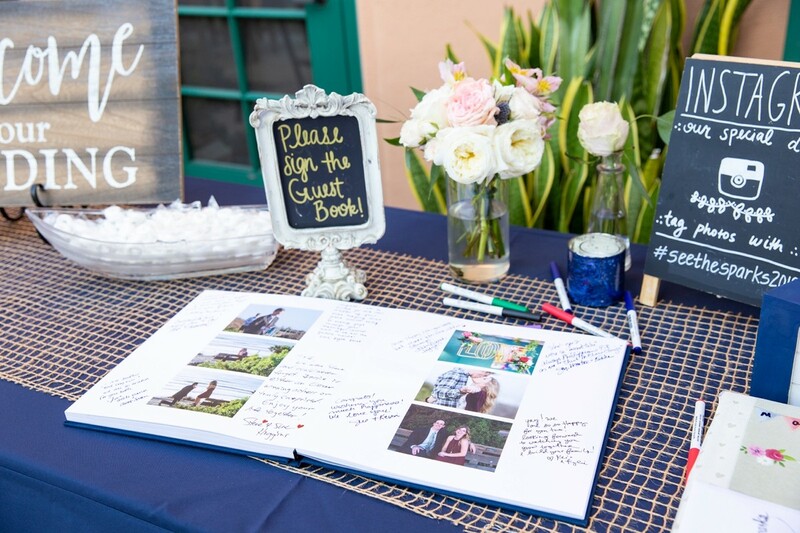 Stone Brew went above and beyond to make Matt and Jessie’s wedding perfect and personal for them. 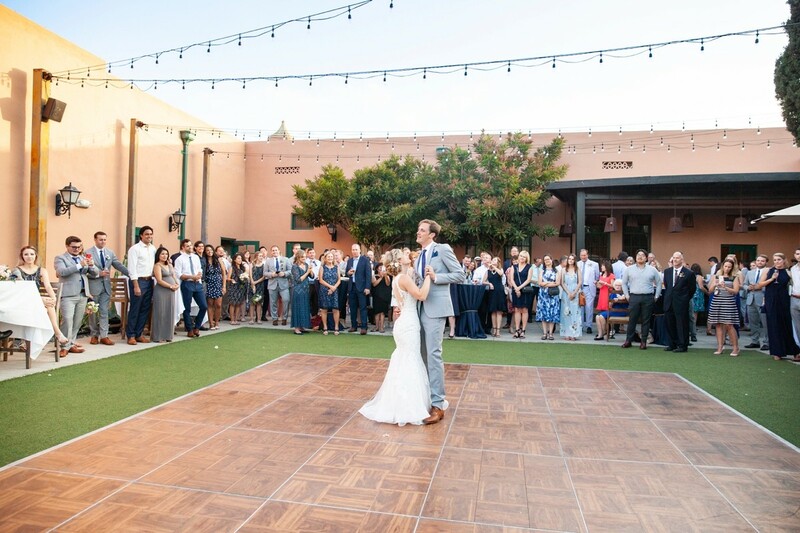 They had a banquet hall, courtyard and patio reserved just for them and their guests. 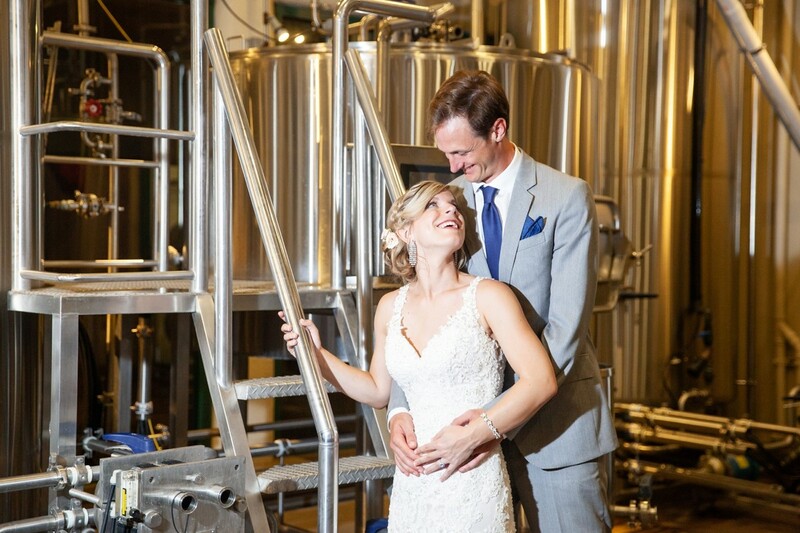 They even gave Matt and Jessie a tour of the brewing process to see behind the scenes! 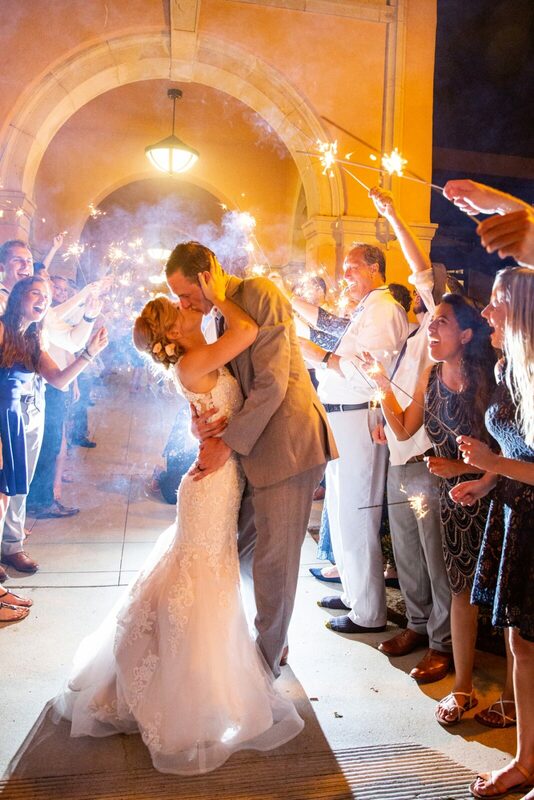 Matt and Jessie, I am so happy for you two and excited to see you enter this new chapter in your relationship. 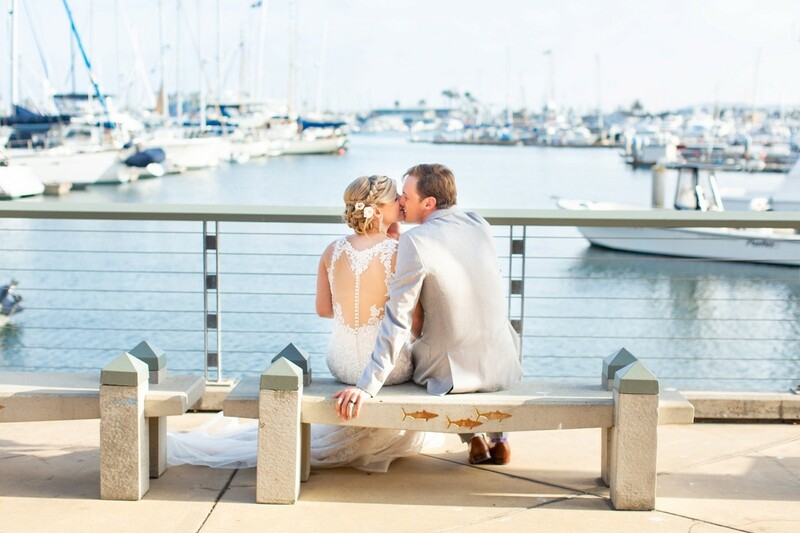 You’ve gone through years of friendship and love which is a beautiful foundation for your marriage and I wish you years of love, laughter and adventure.